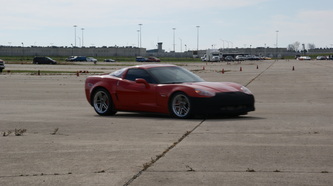 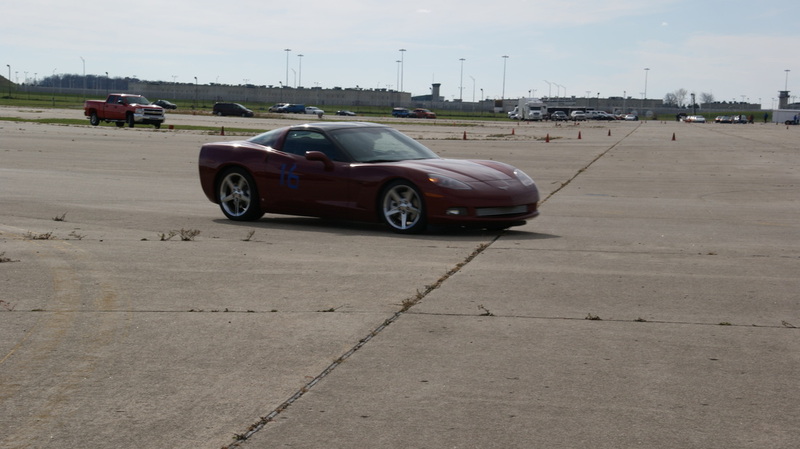 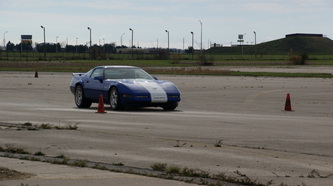 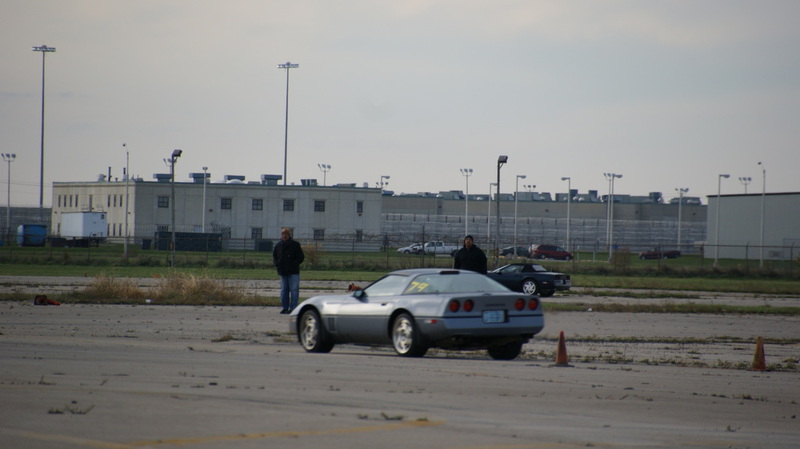 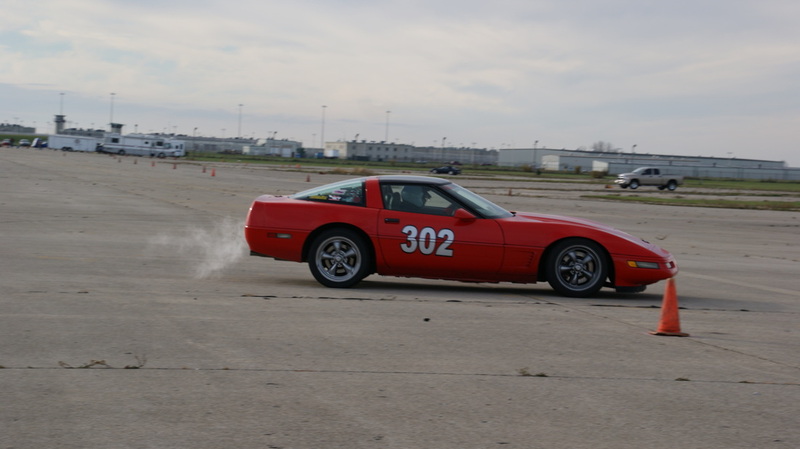 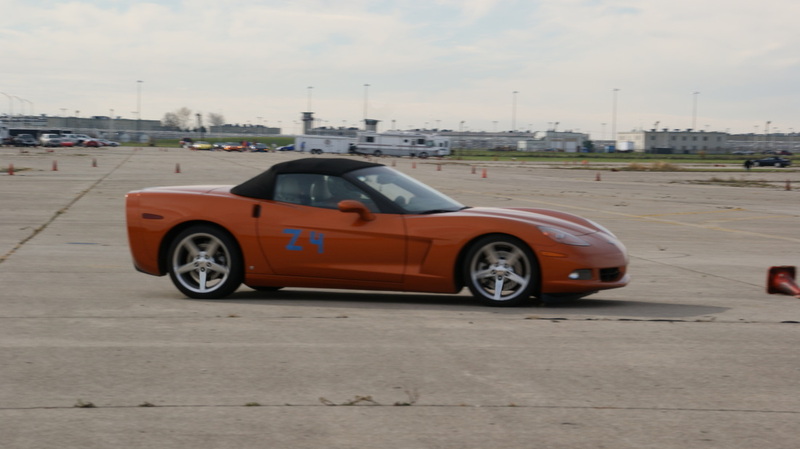 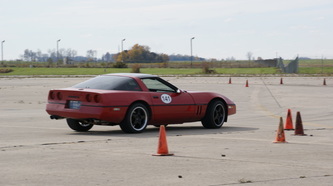 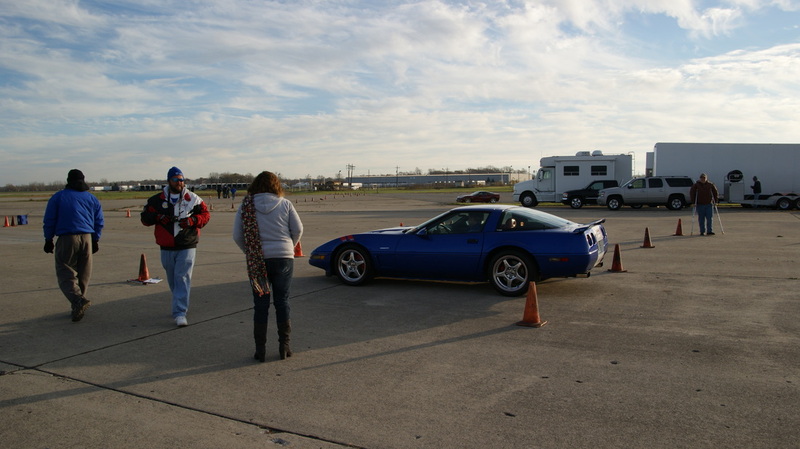 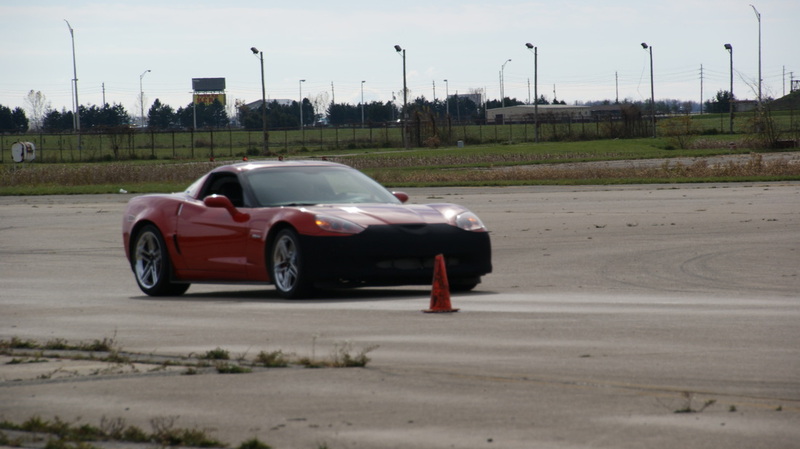 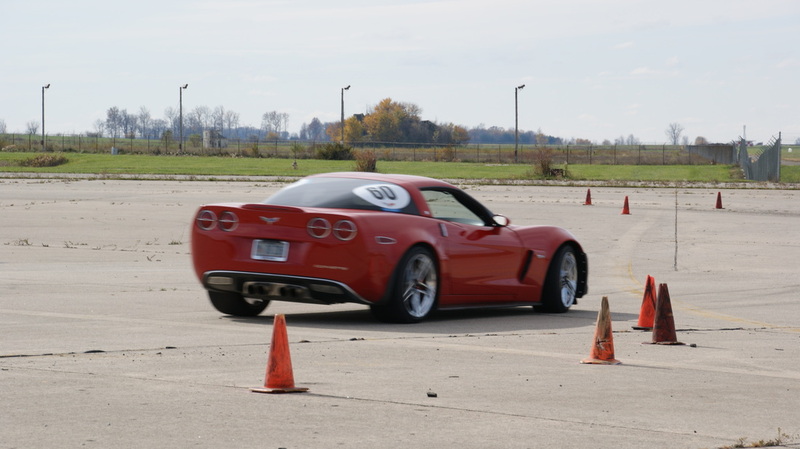 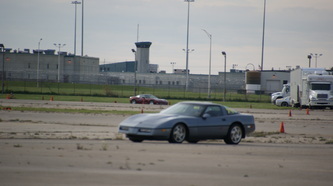 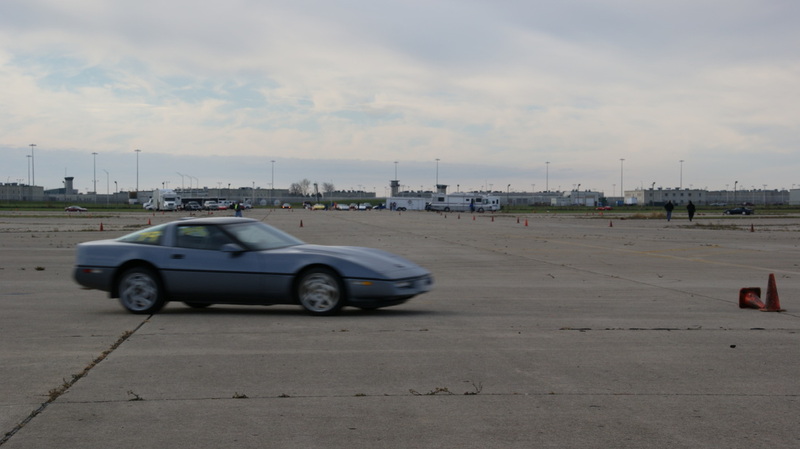 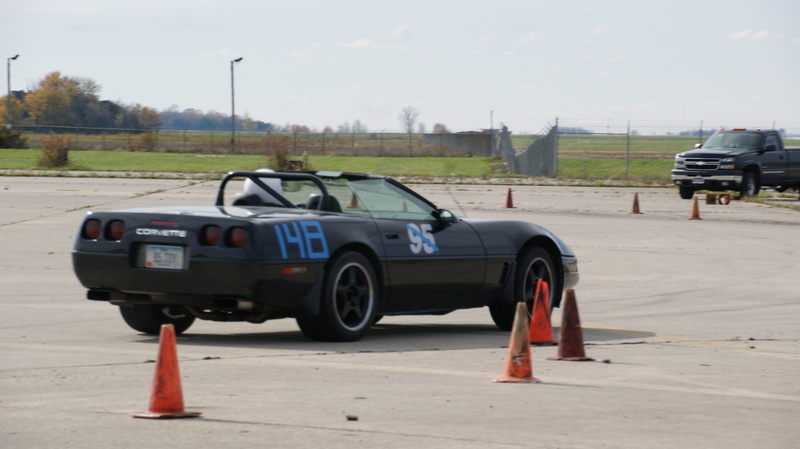 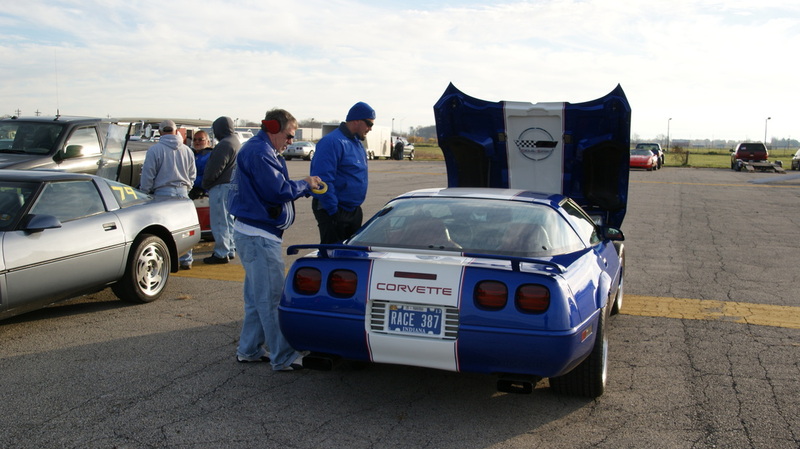 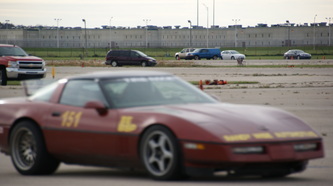 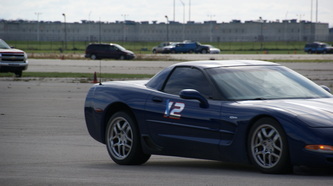 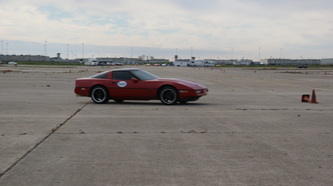 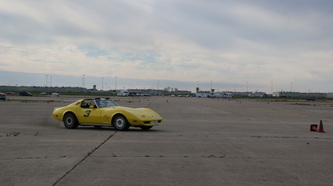 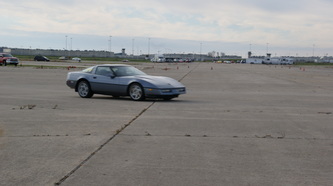 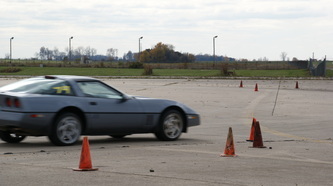 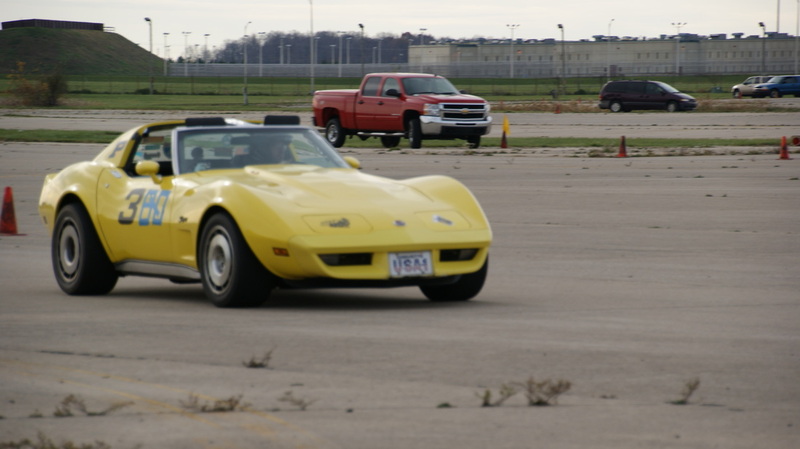 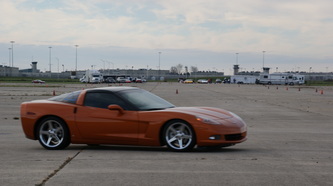 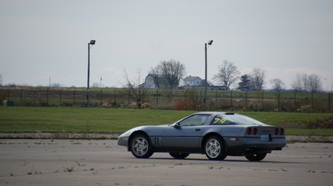 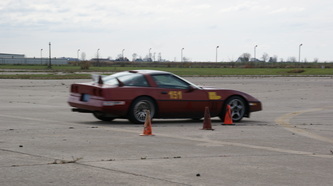 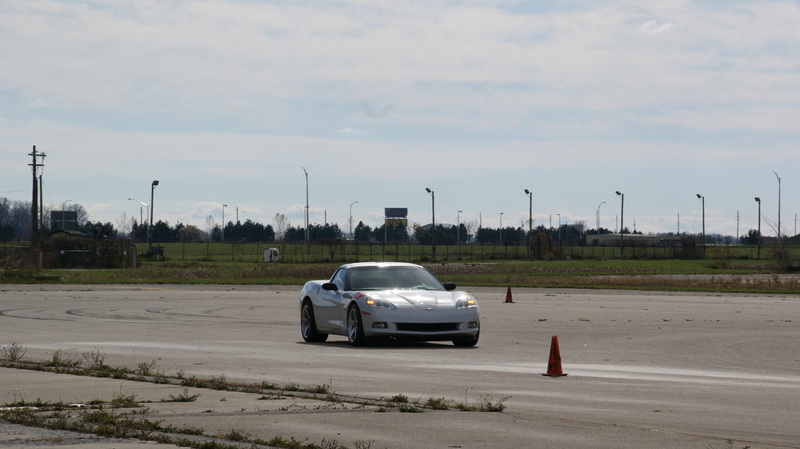 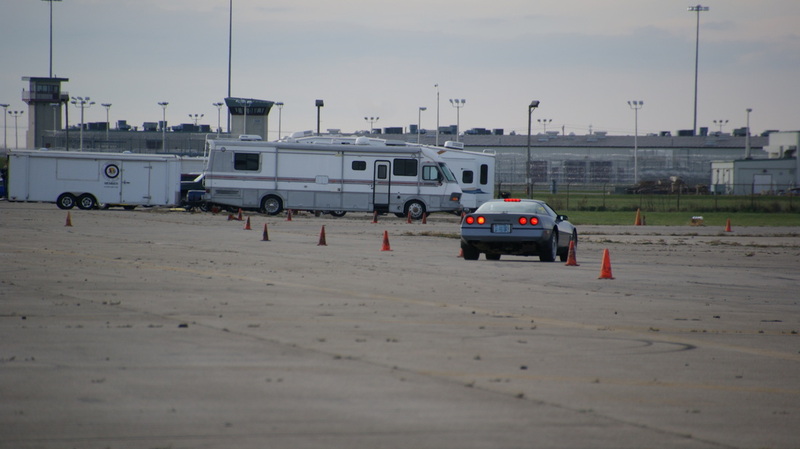 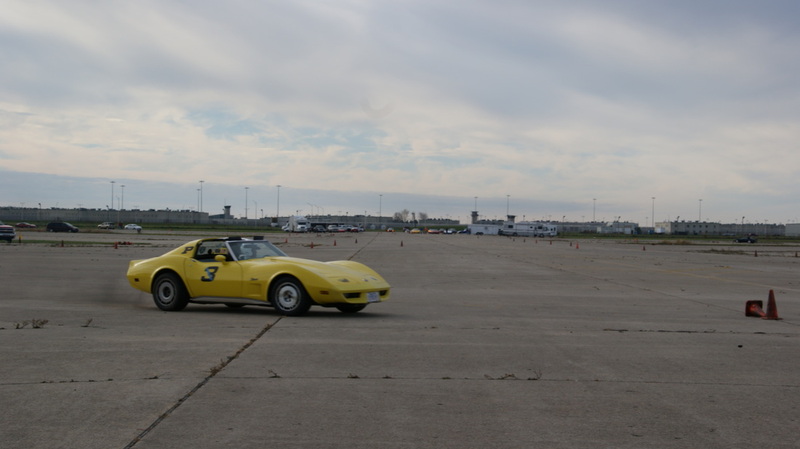 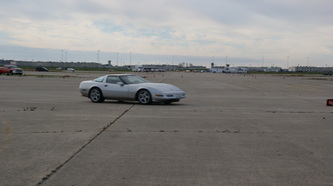 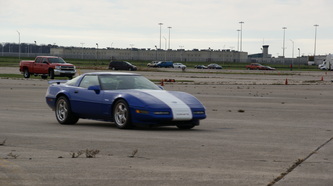 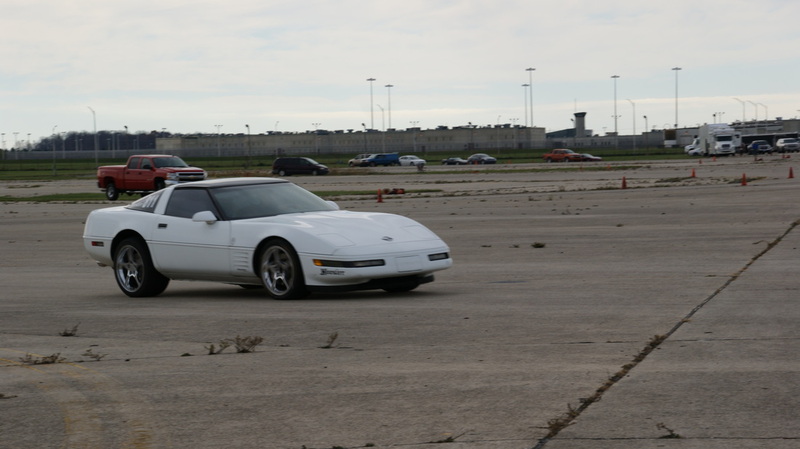 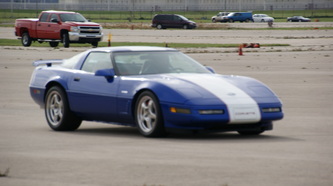 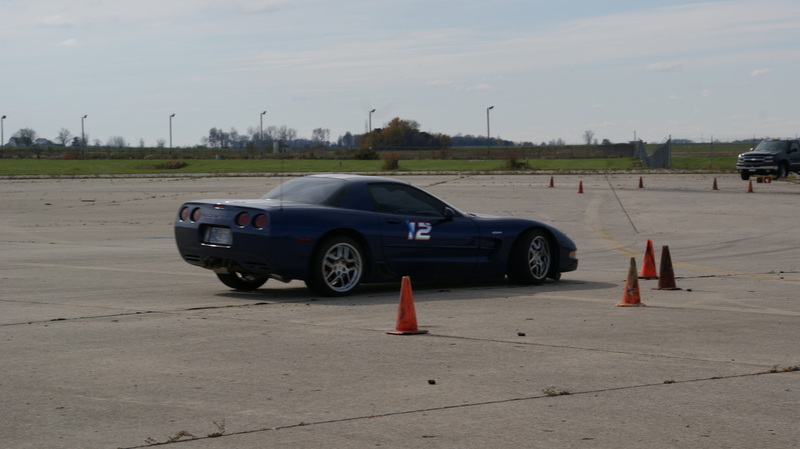 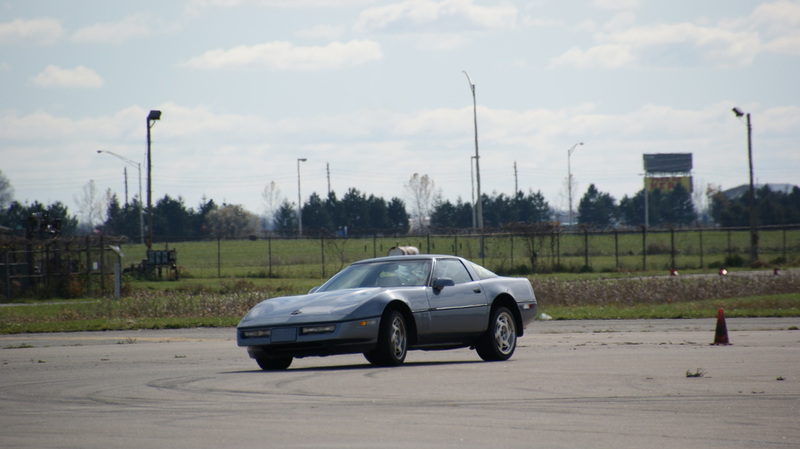 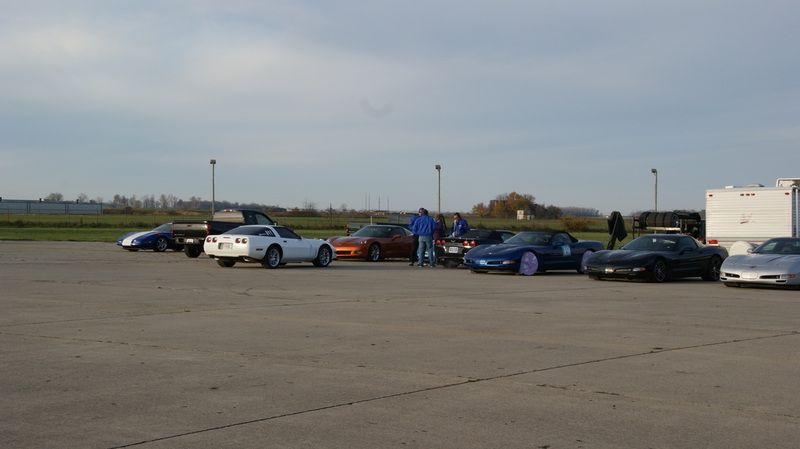 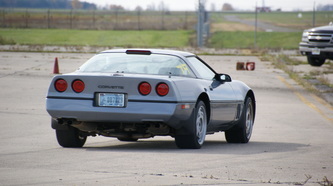 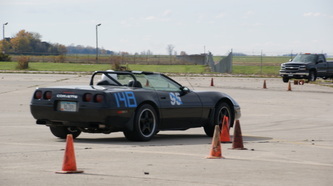 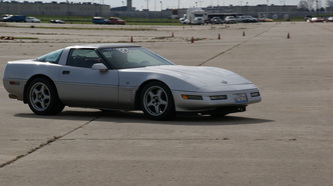 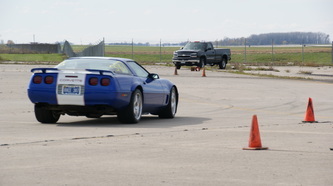 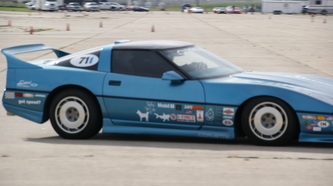 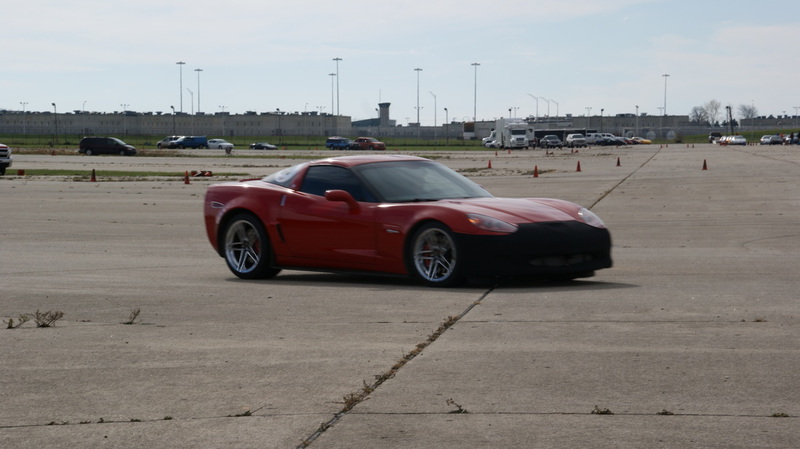 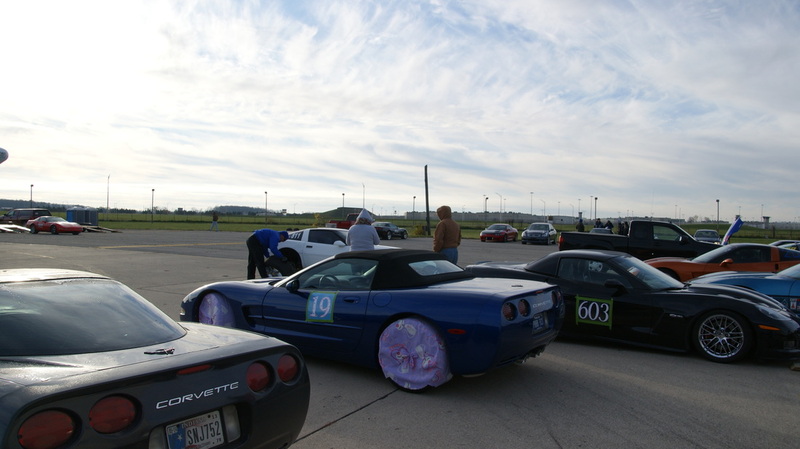 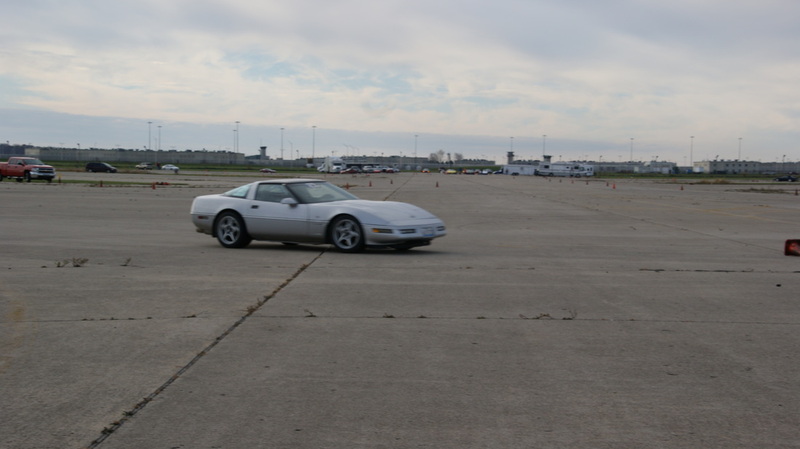 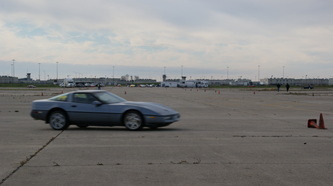 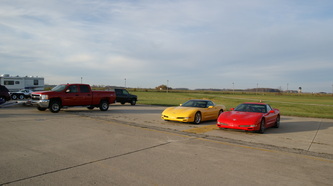 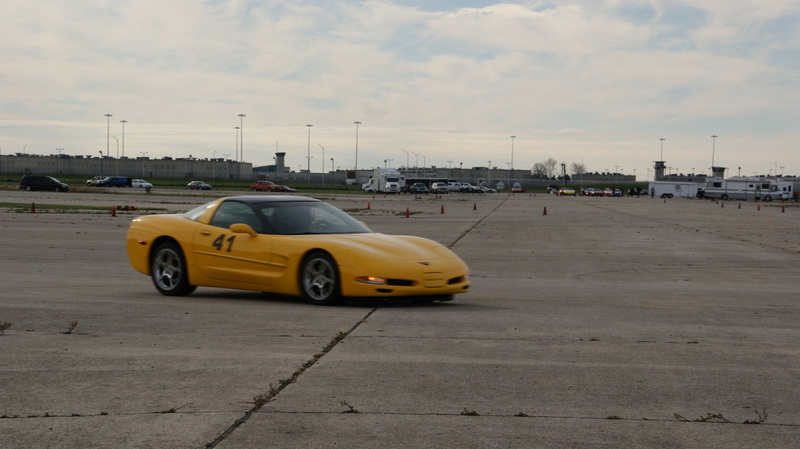 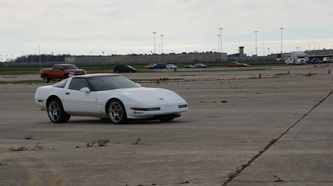 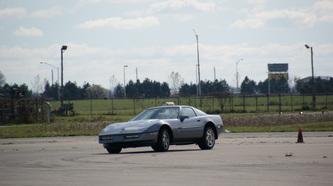 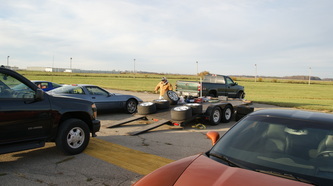 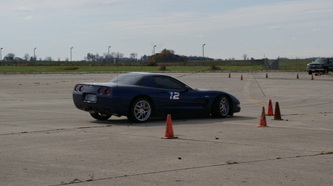 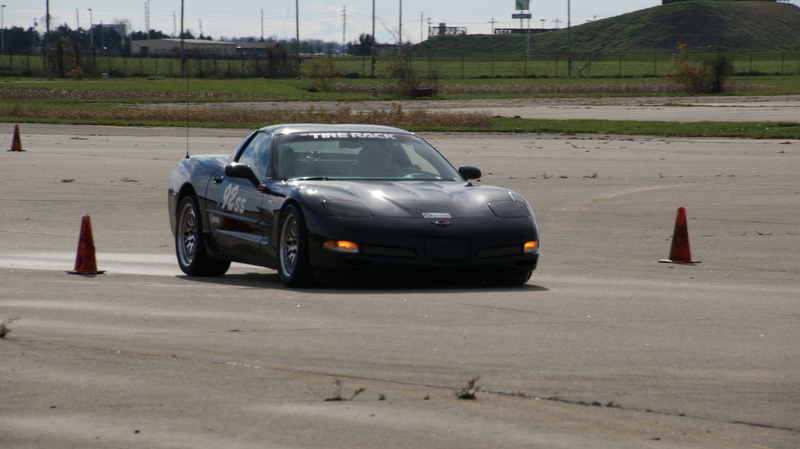 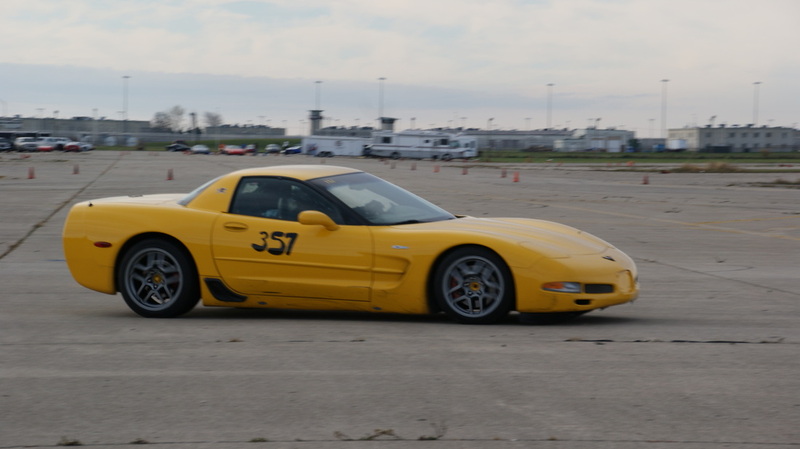 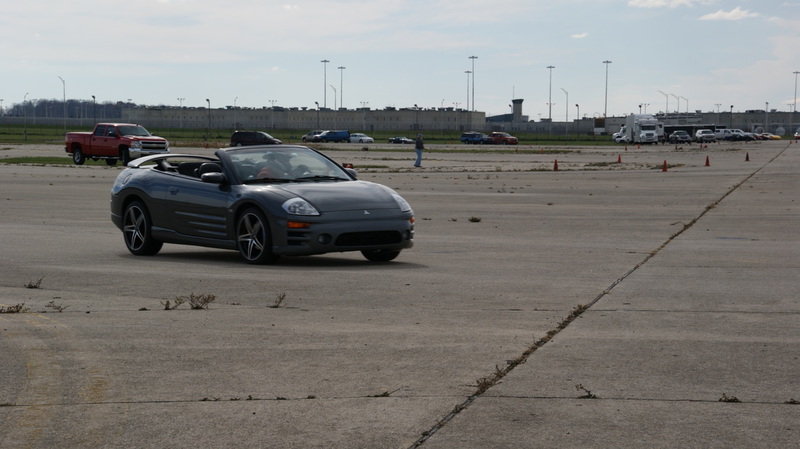 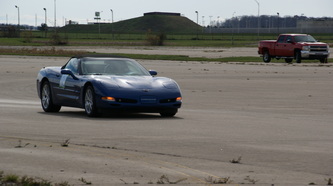 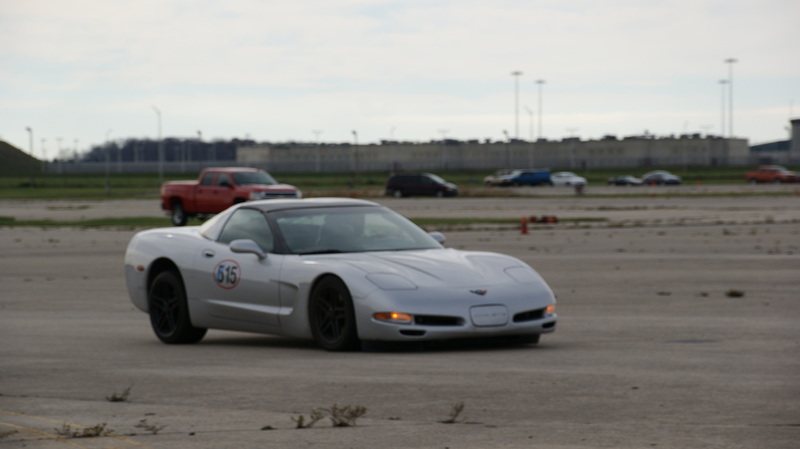 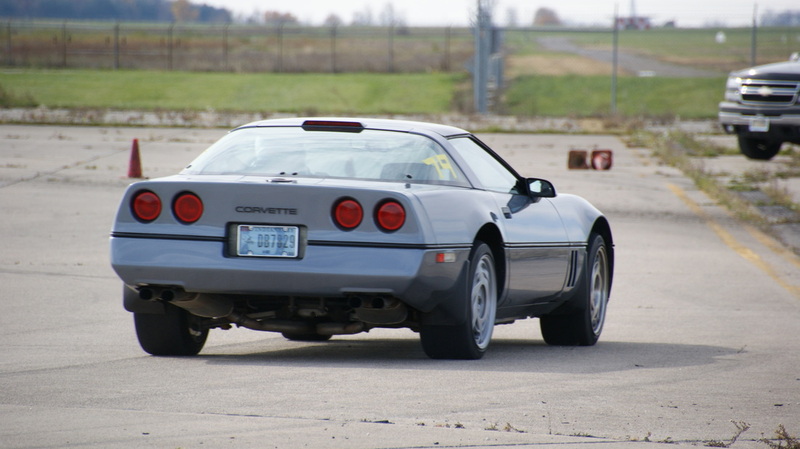 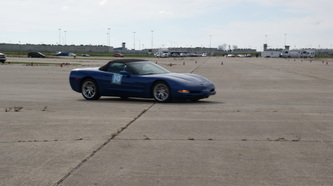 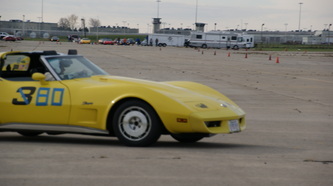 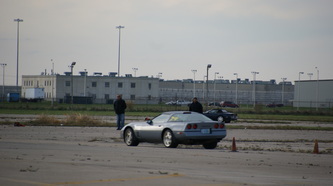 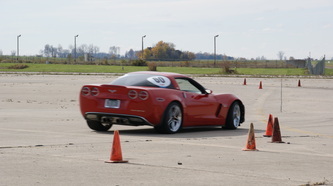 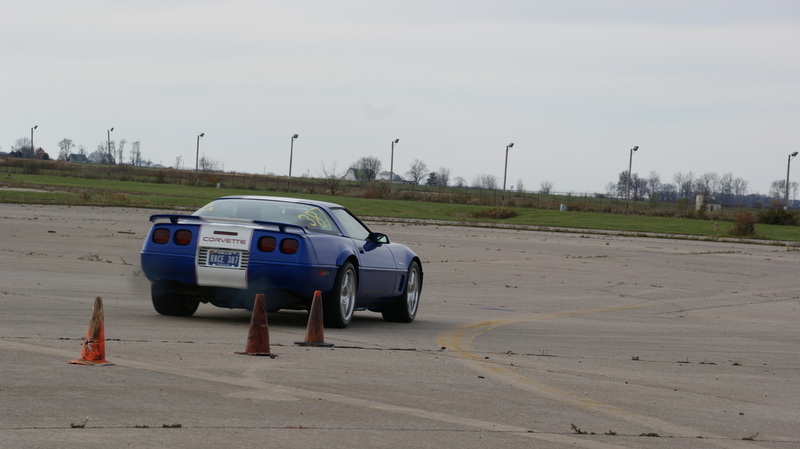 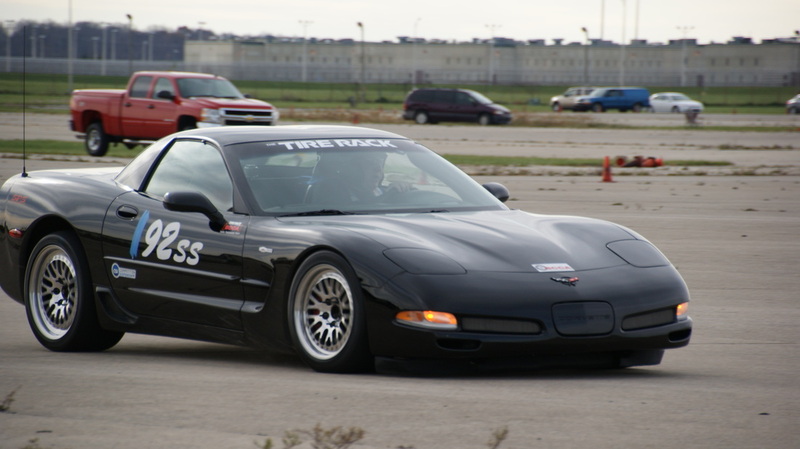 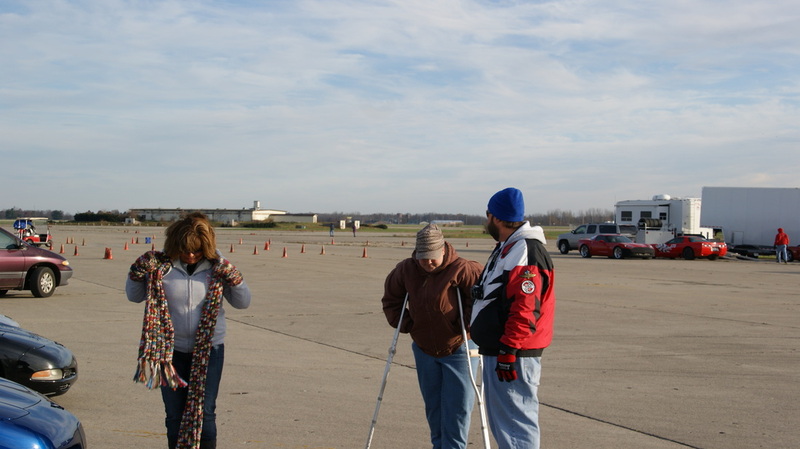 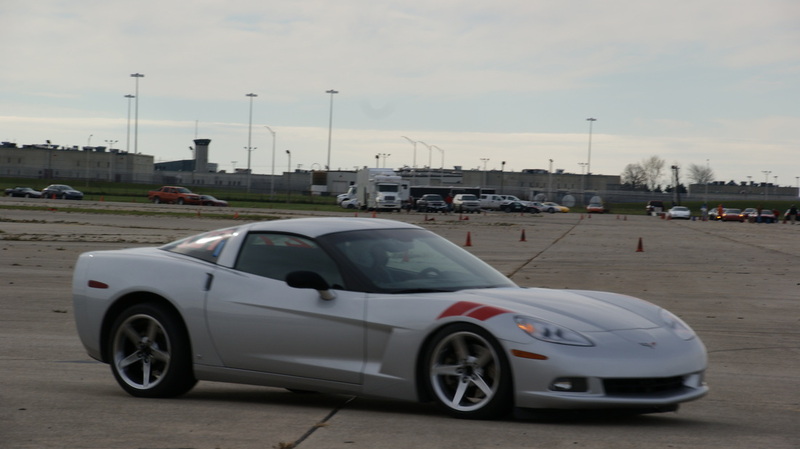 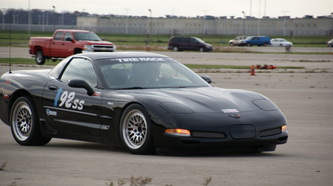 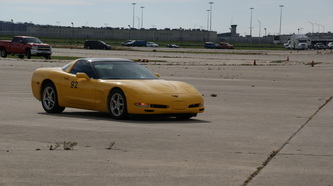 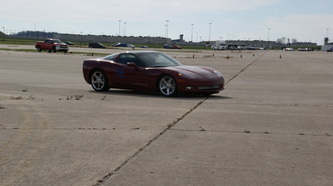 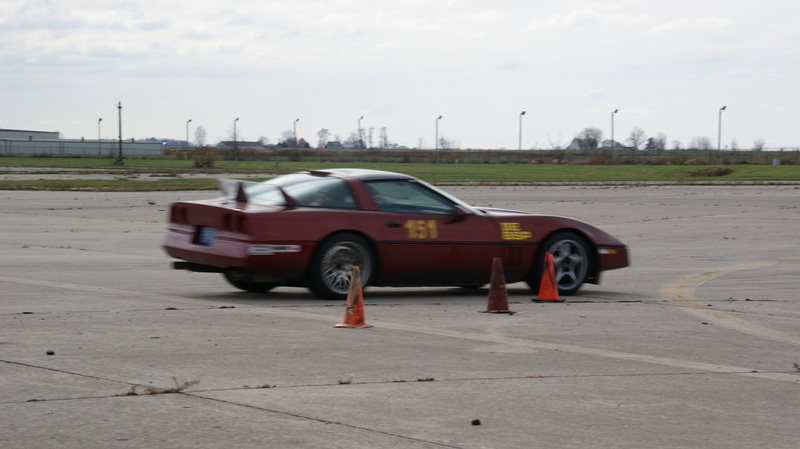 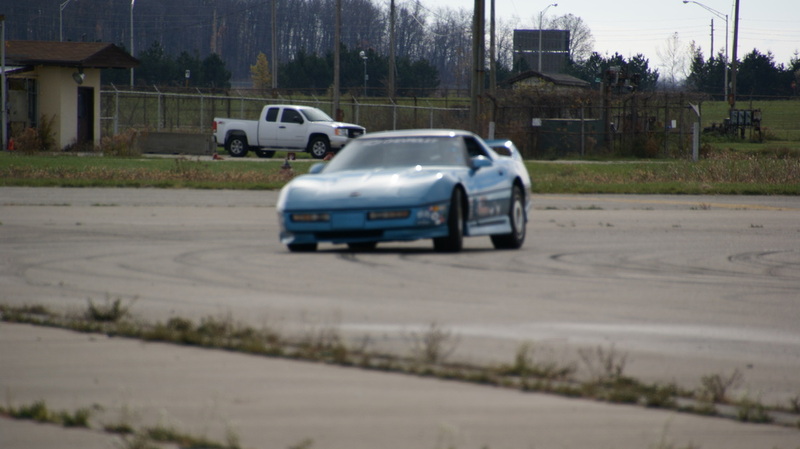 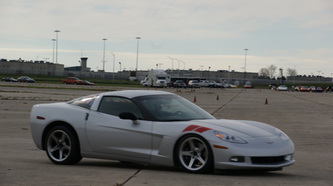 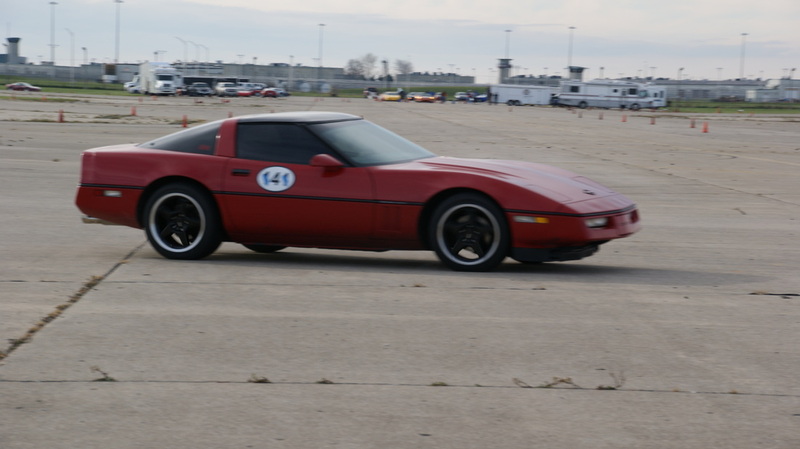 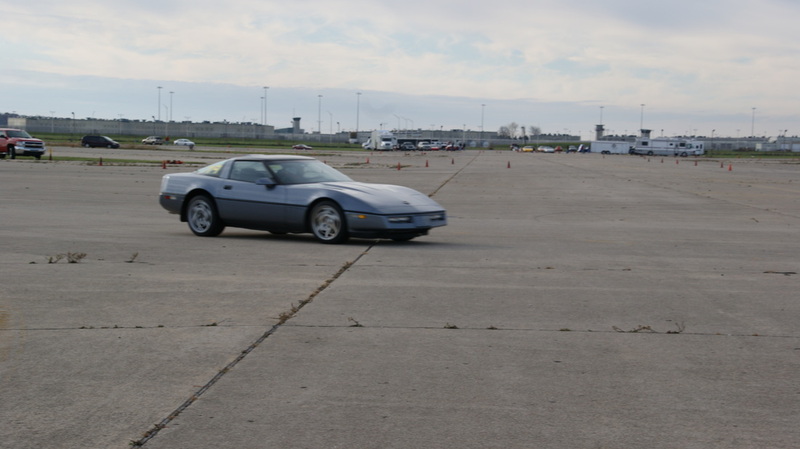 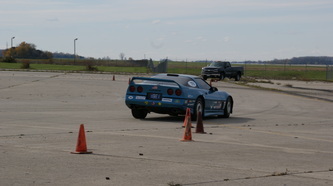 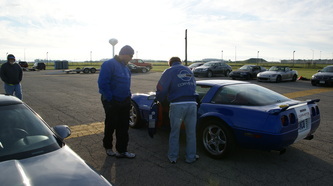 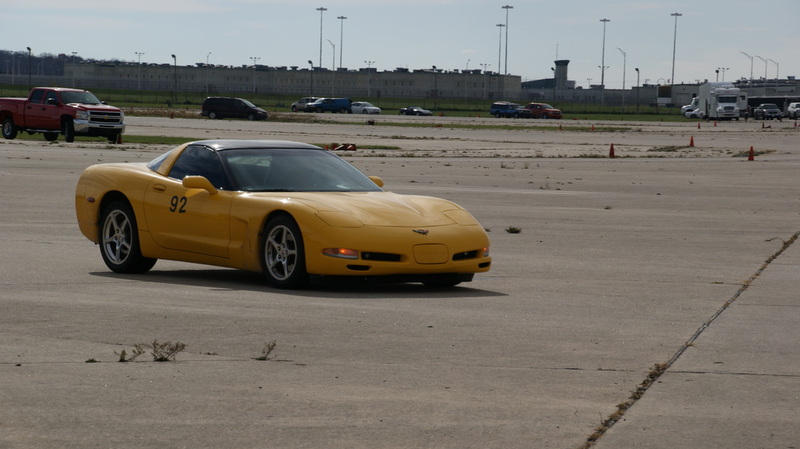 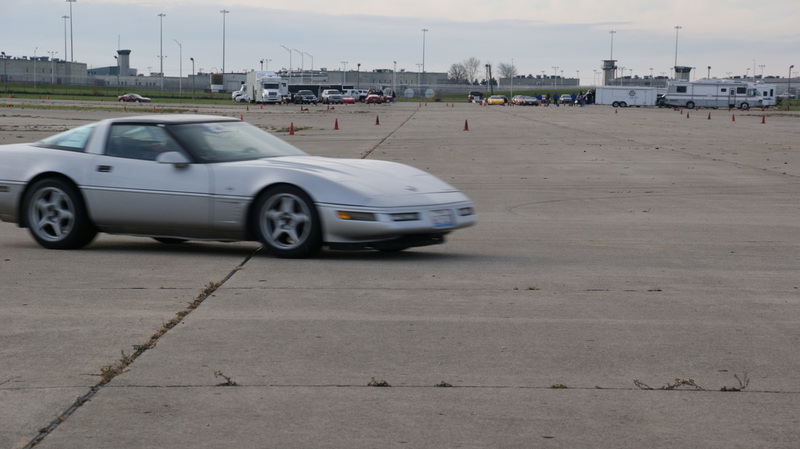 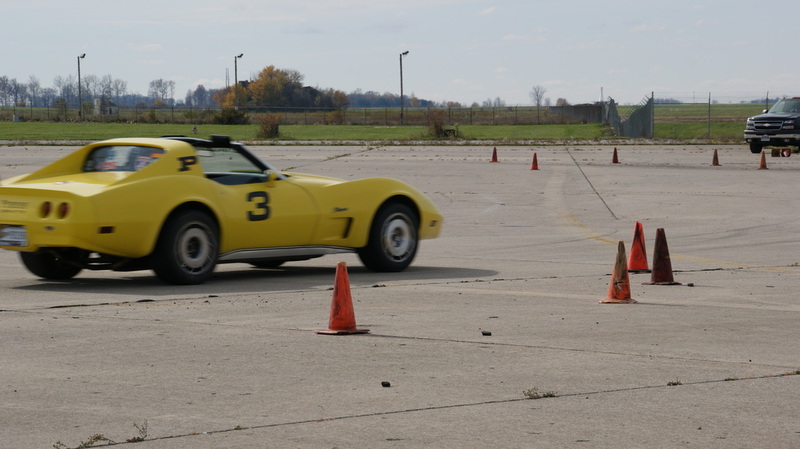 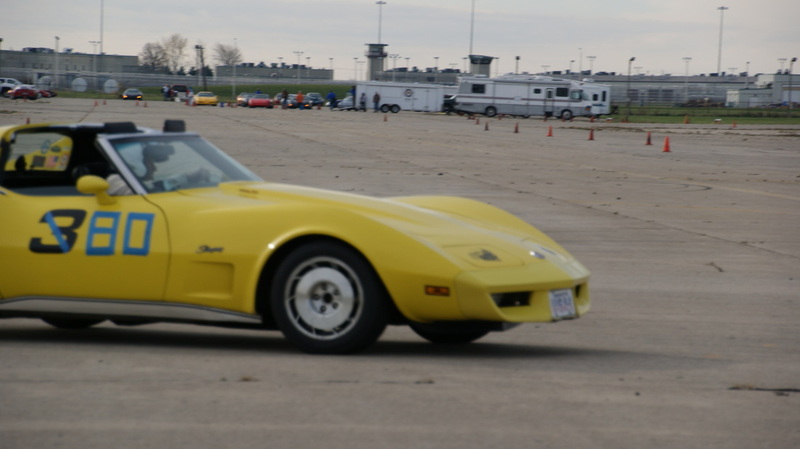 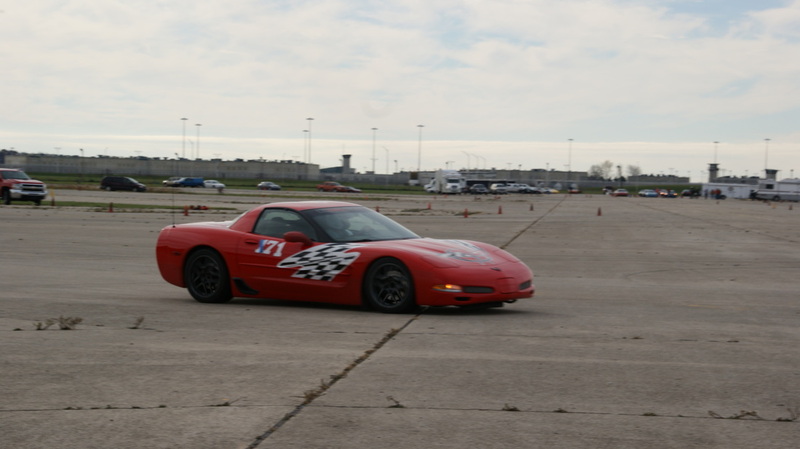 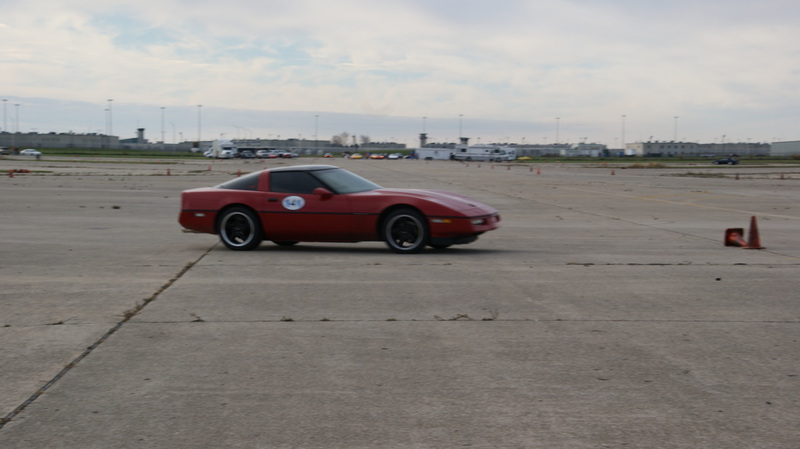 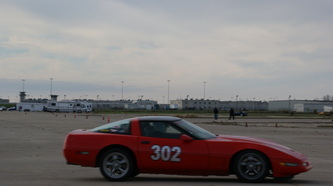 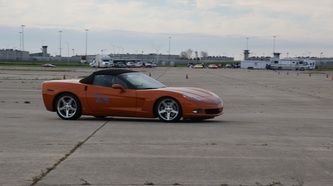 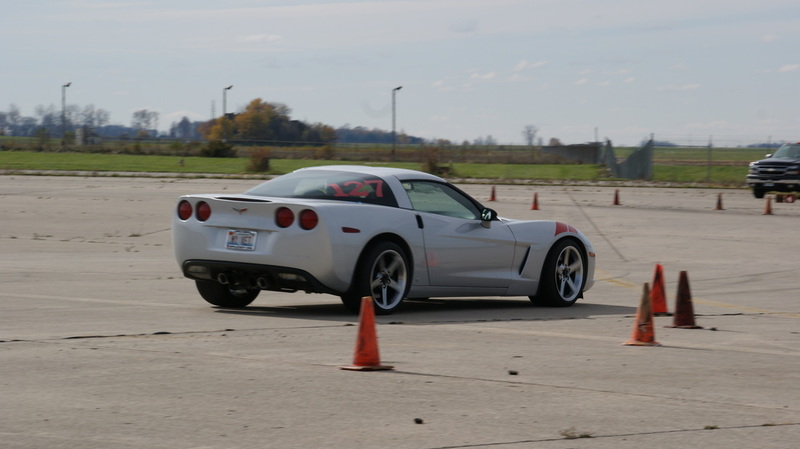 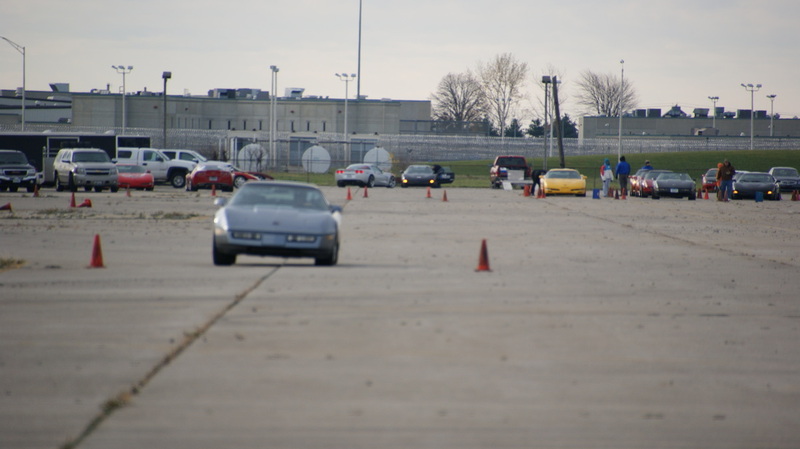 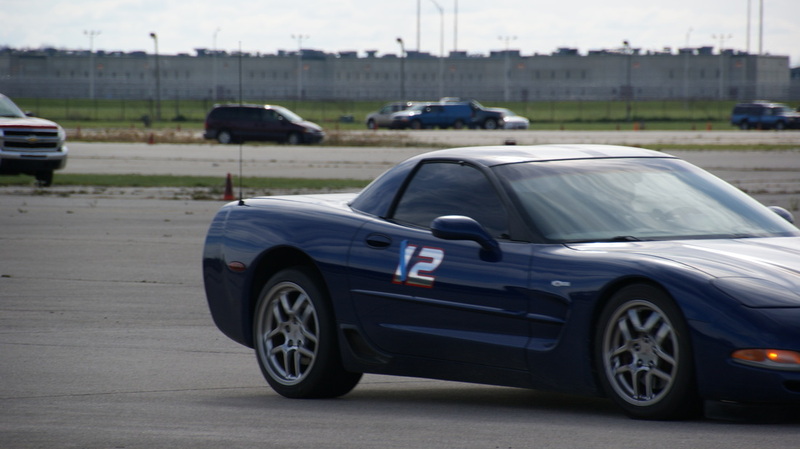 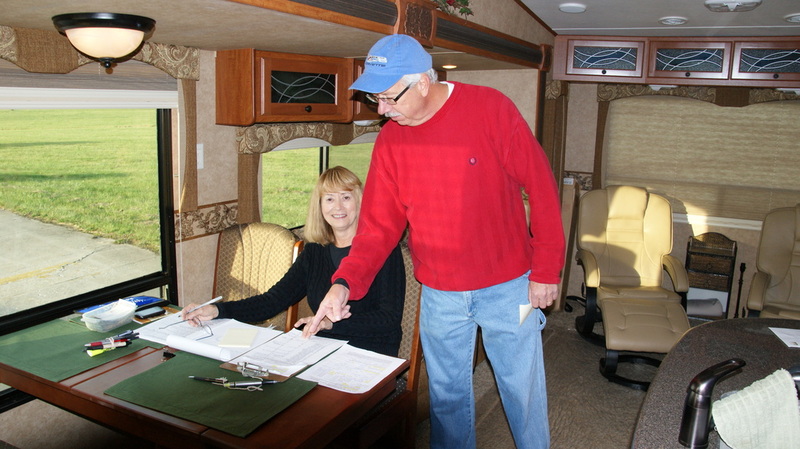 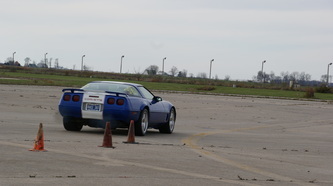 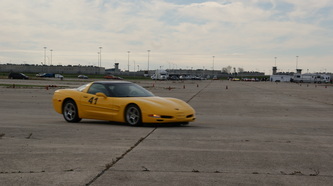 On Sunday, October 28, the Glass Menagerie Corvette Club was the day's host at Grissom with the able assistance of the Saturday's host Hoosier Corvette Club. 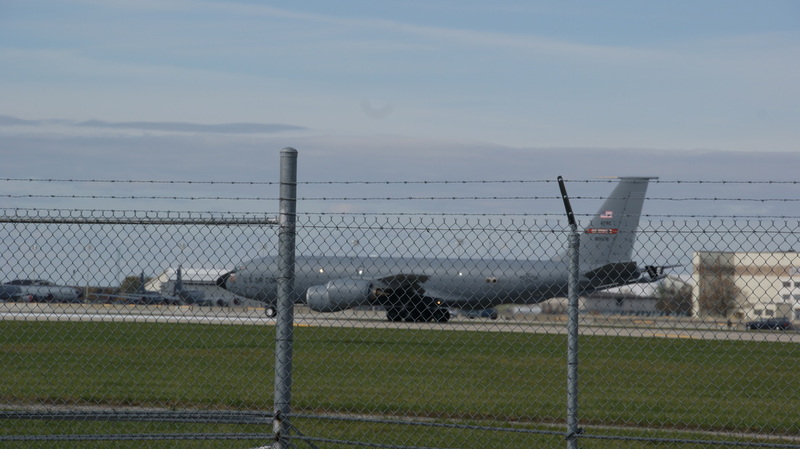 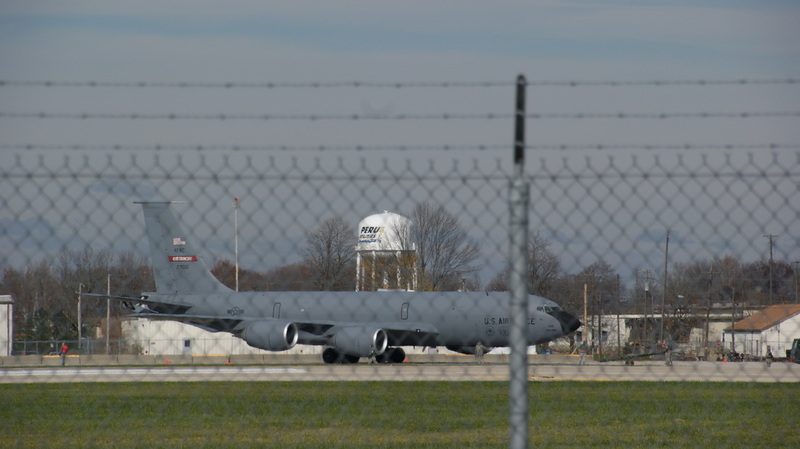 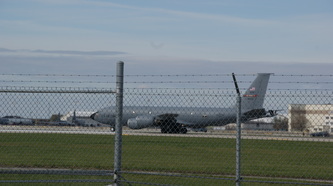 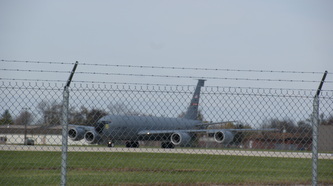 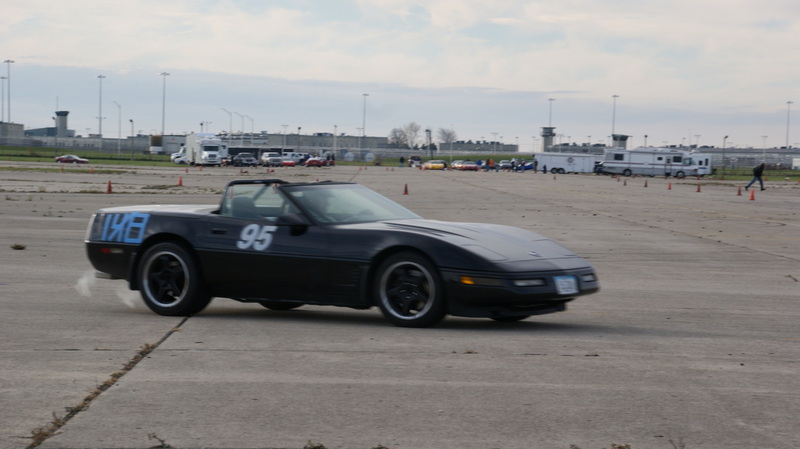 It was about the same temperature as Saturday, but the sun stayed behind clouds and a stiff North wind made the day feel much colder. 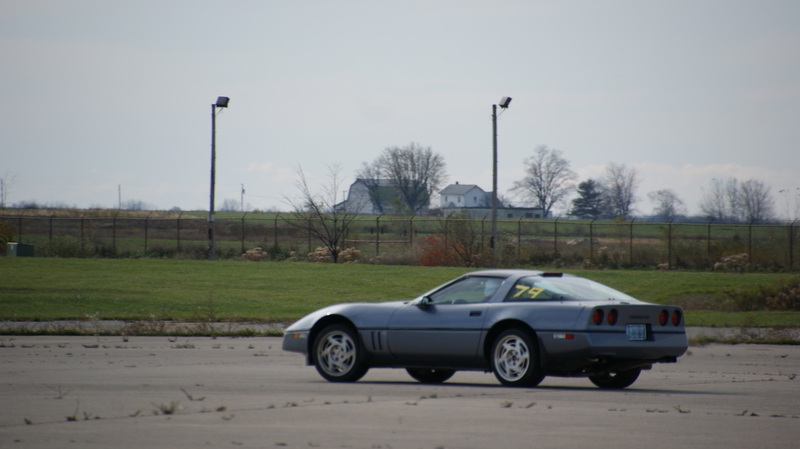 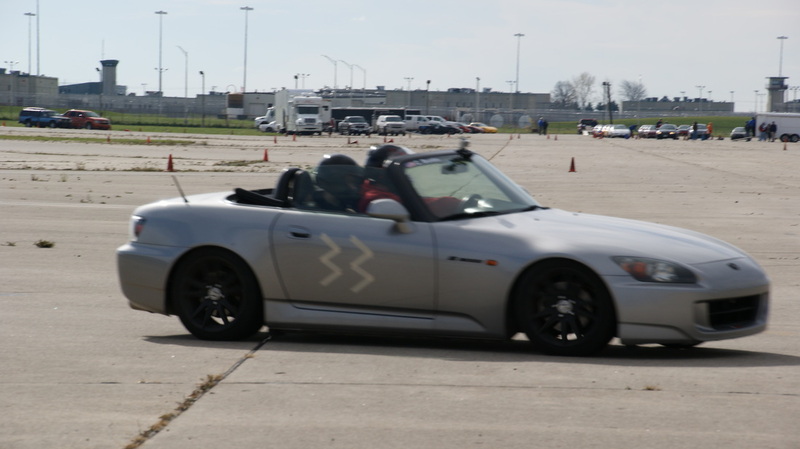 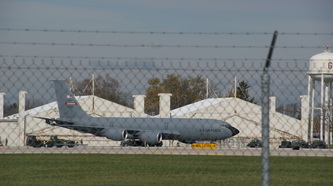 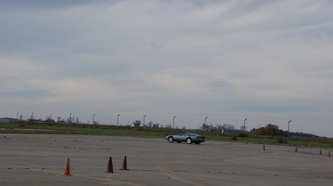 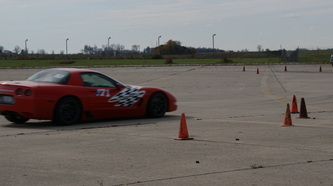 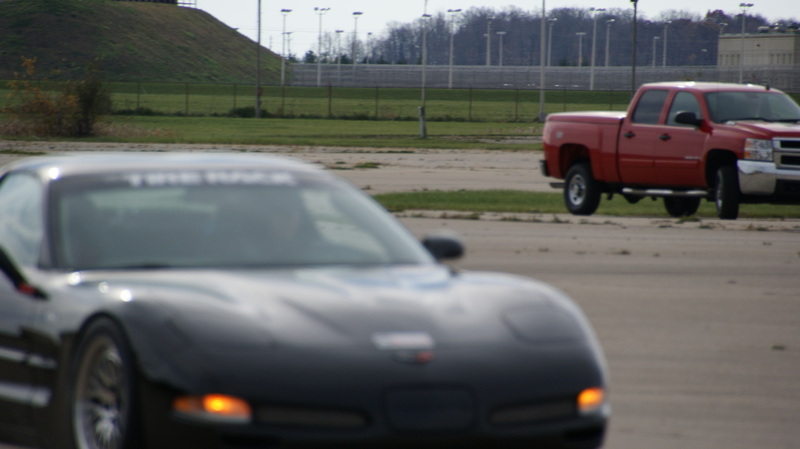 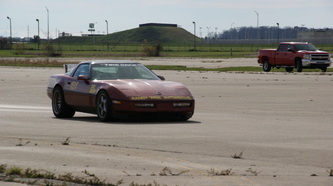 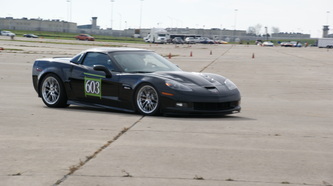 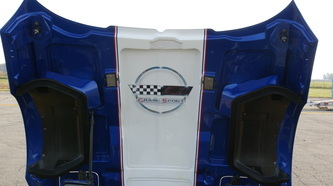 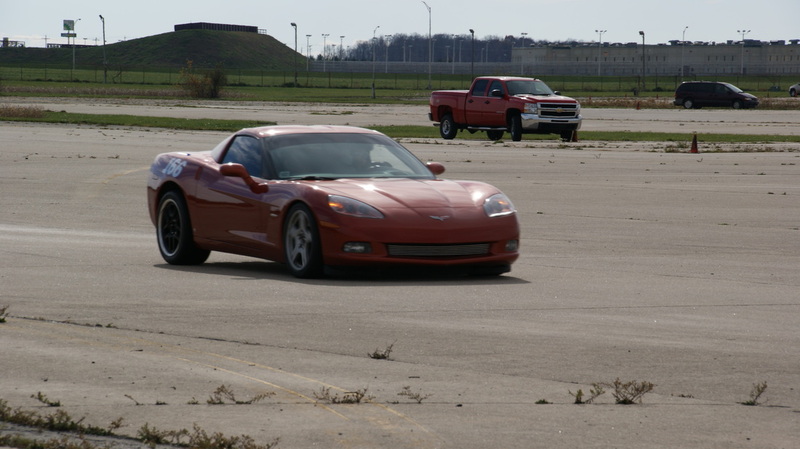 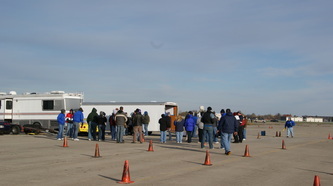 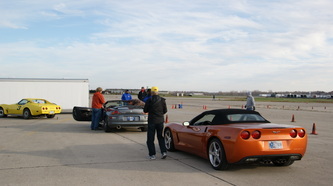 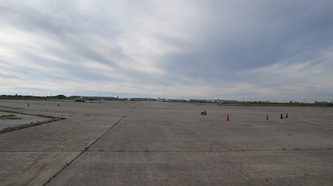 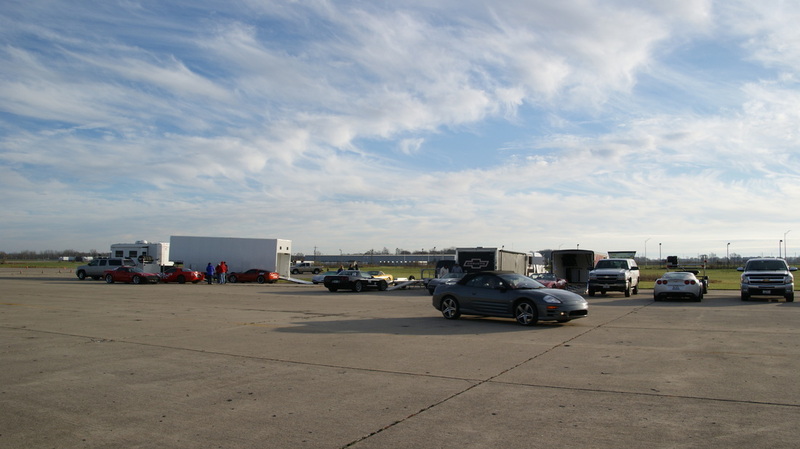 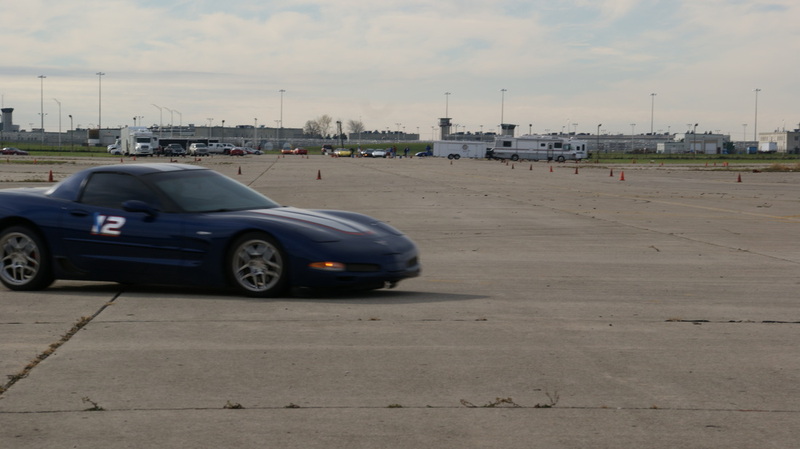 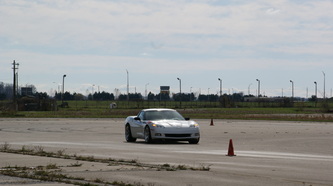 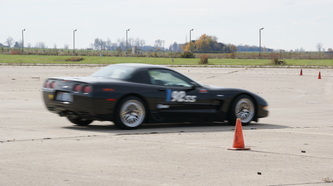 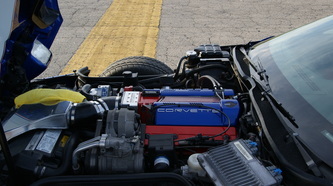 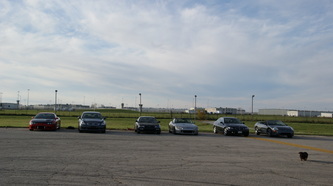 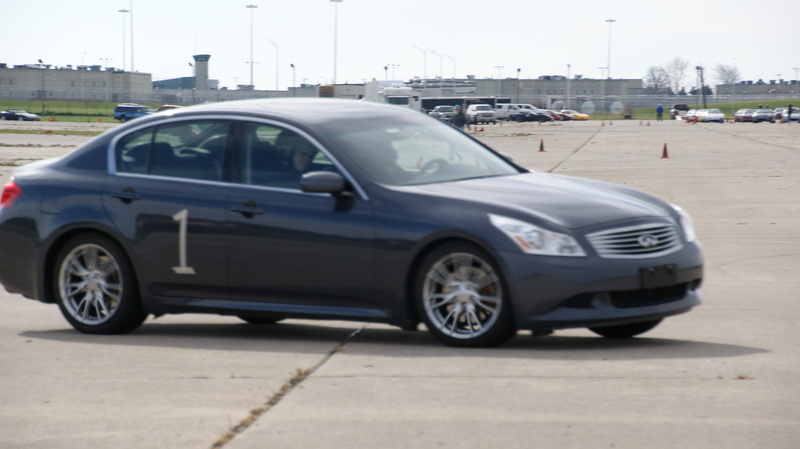 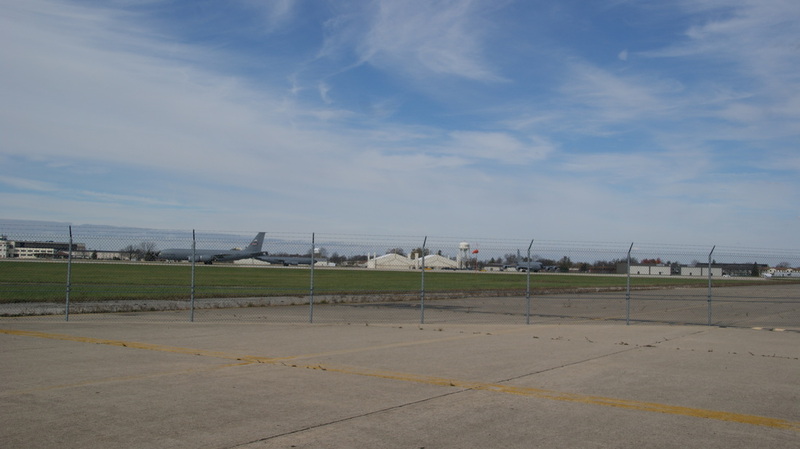 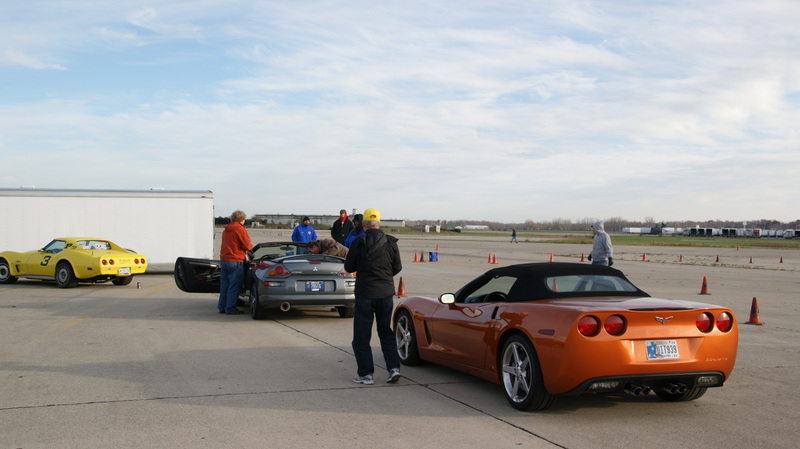 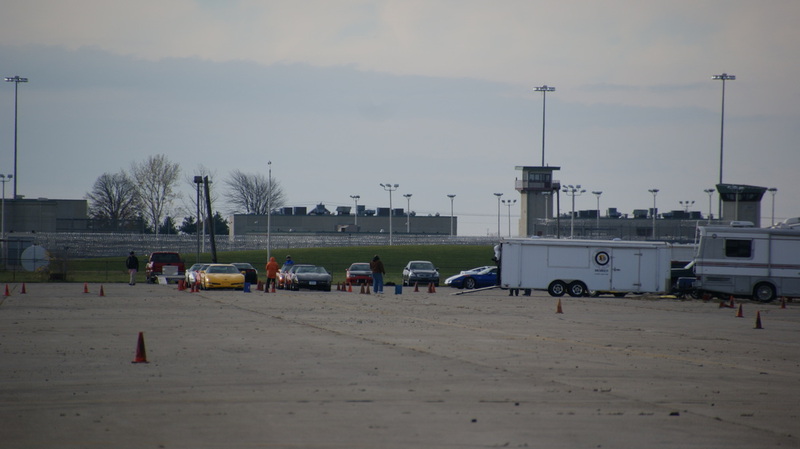 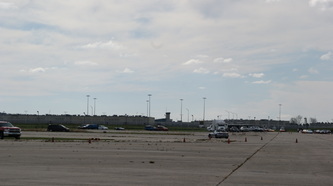 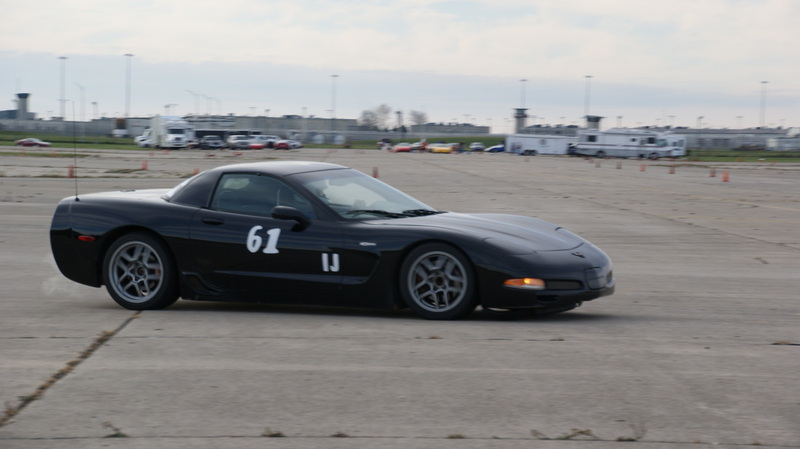 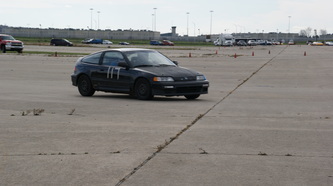 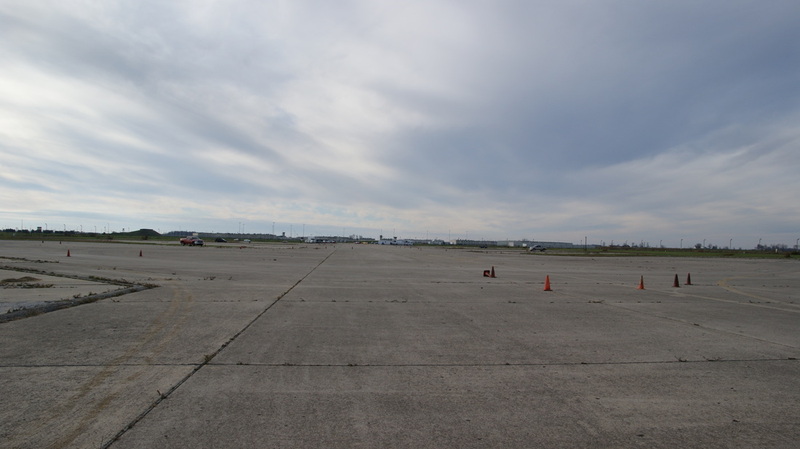 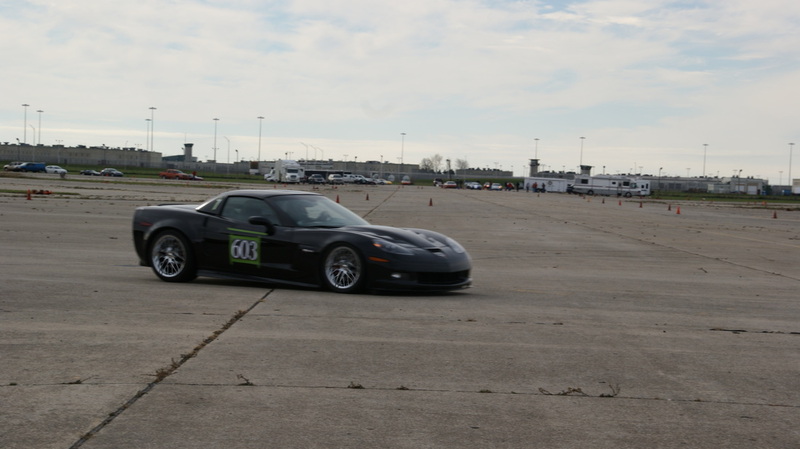 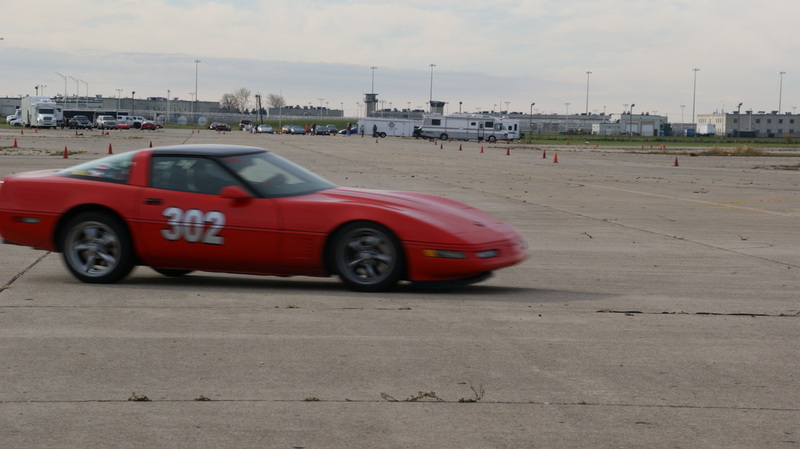 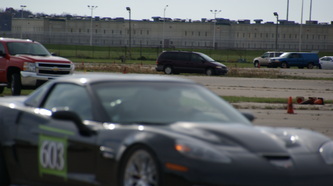 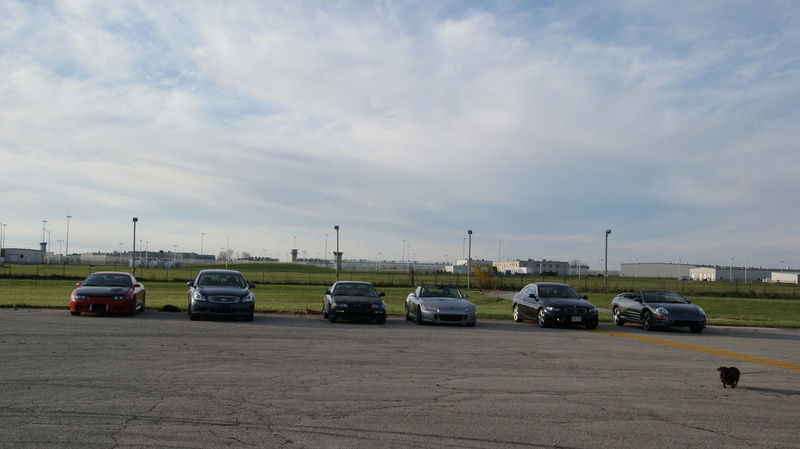 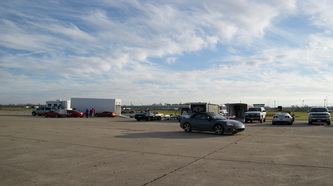 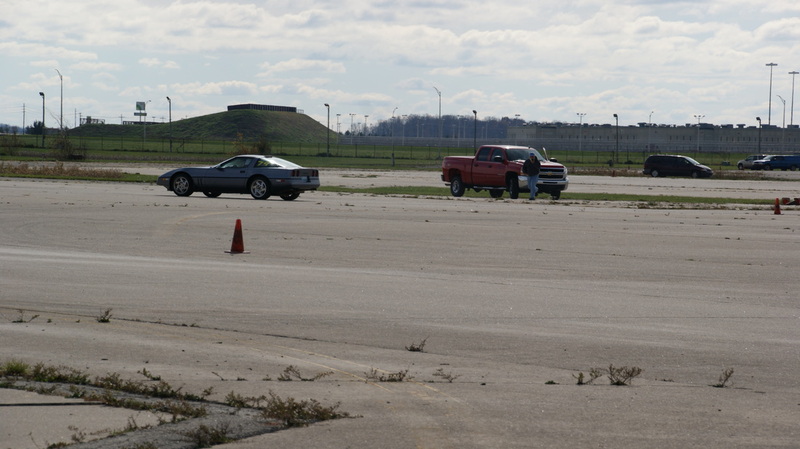 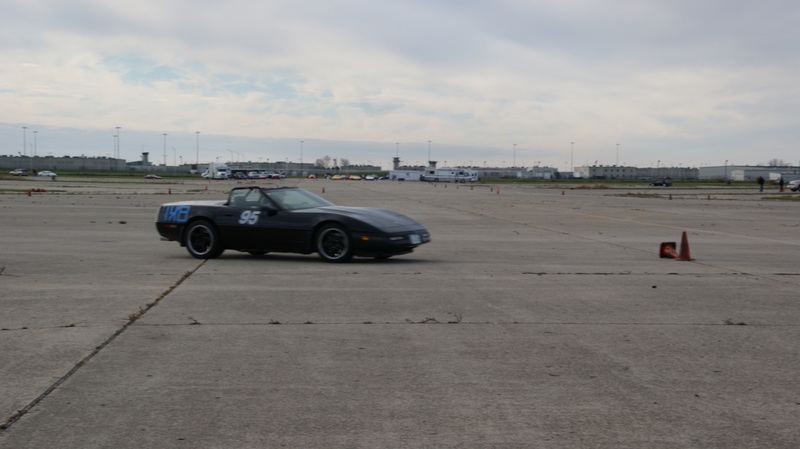 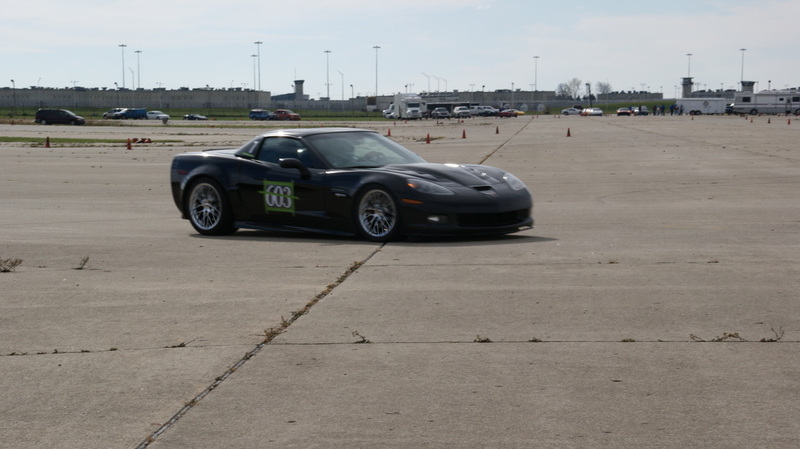 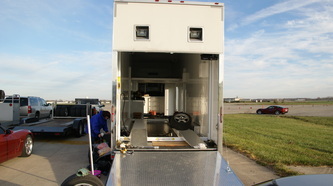 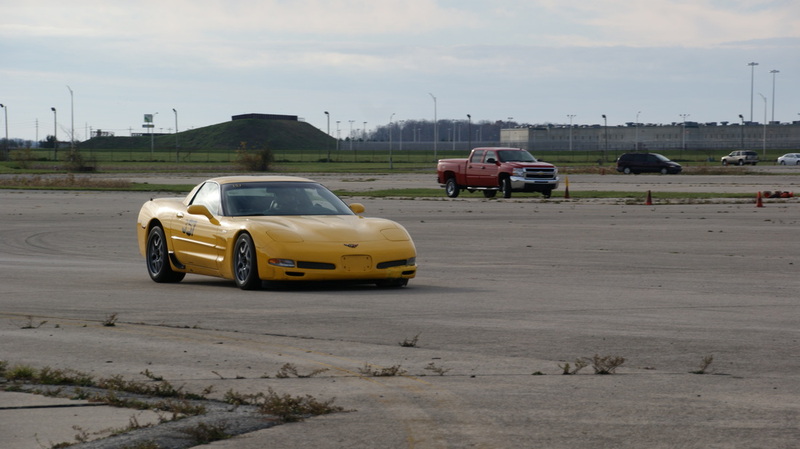 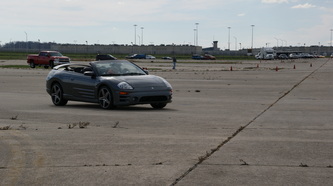 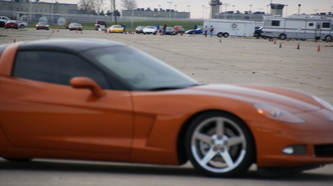 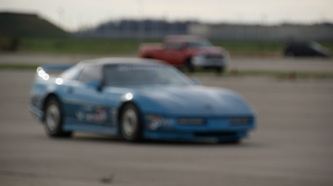 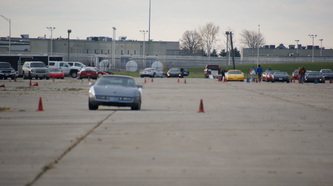 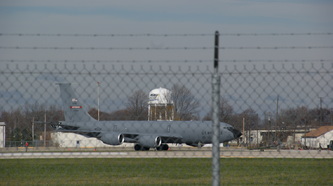 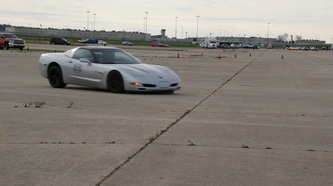 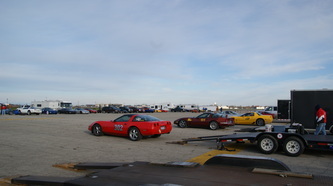 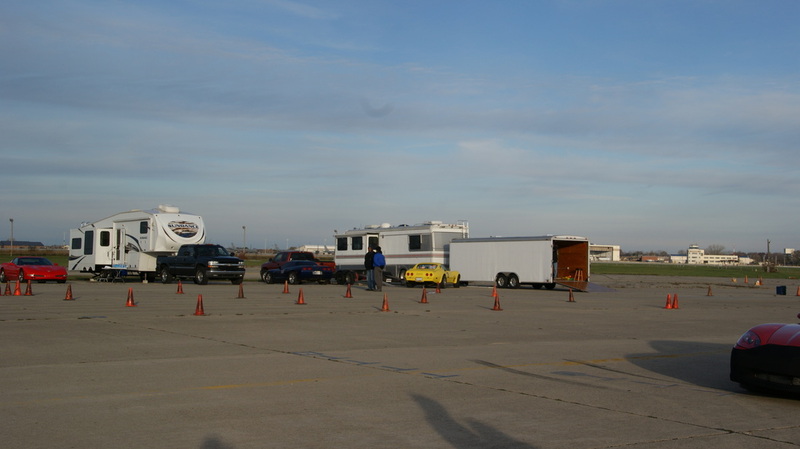 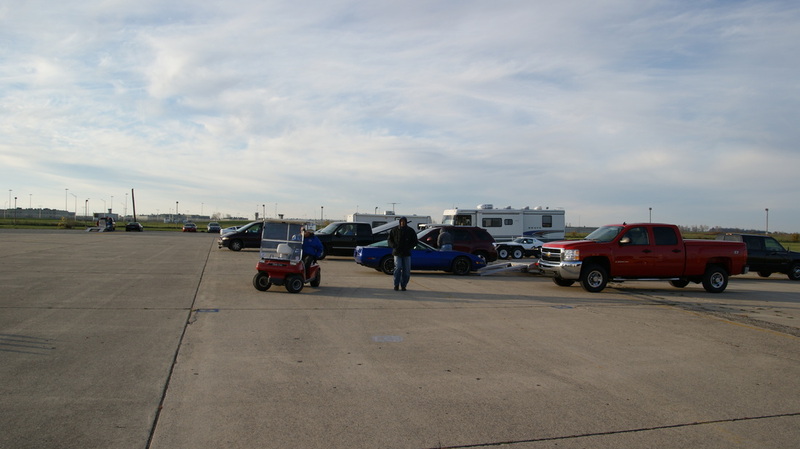 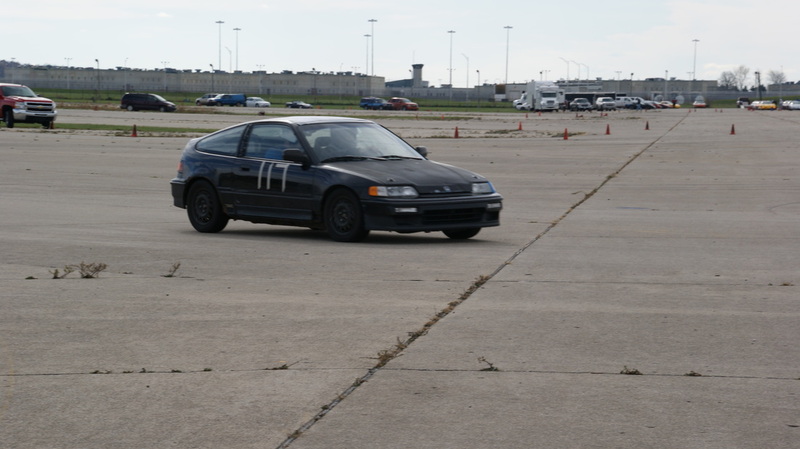 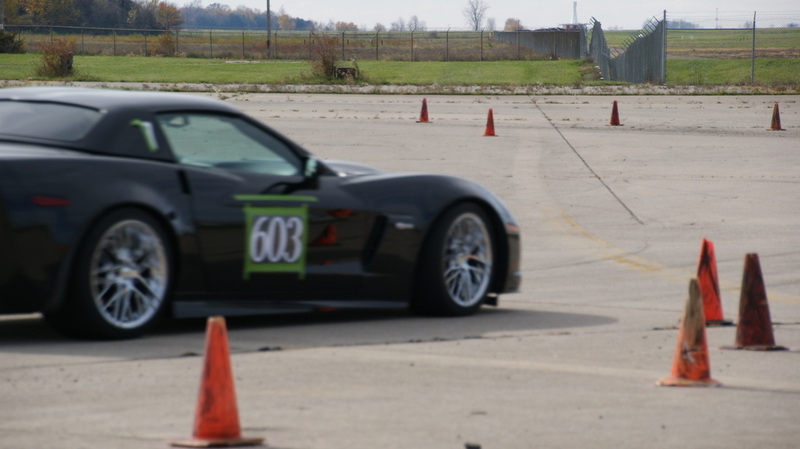 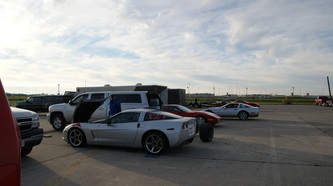 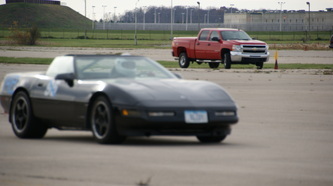 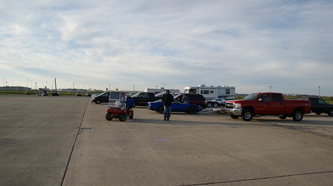 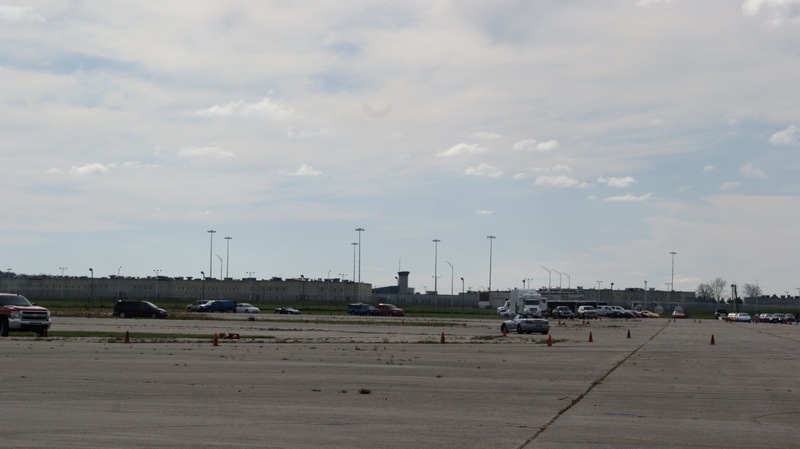 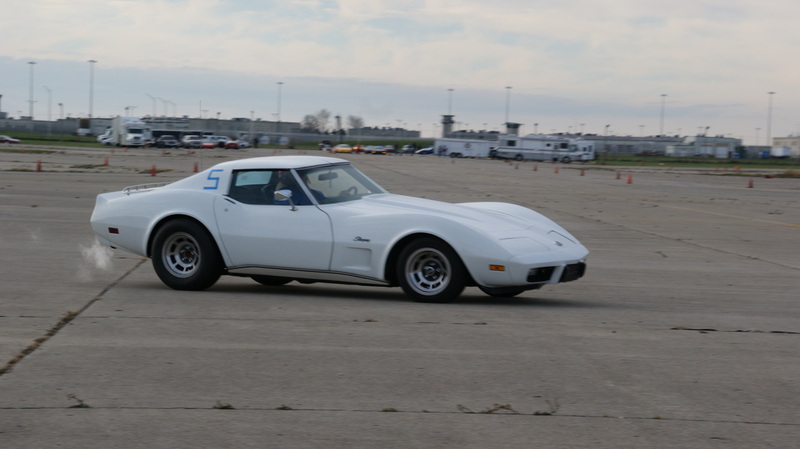 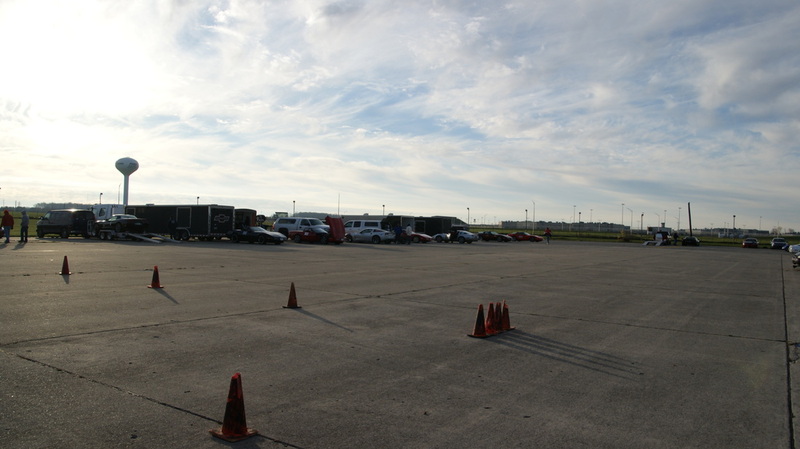 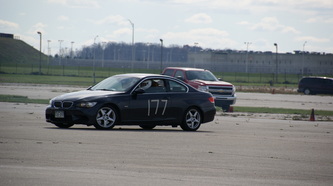 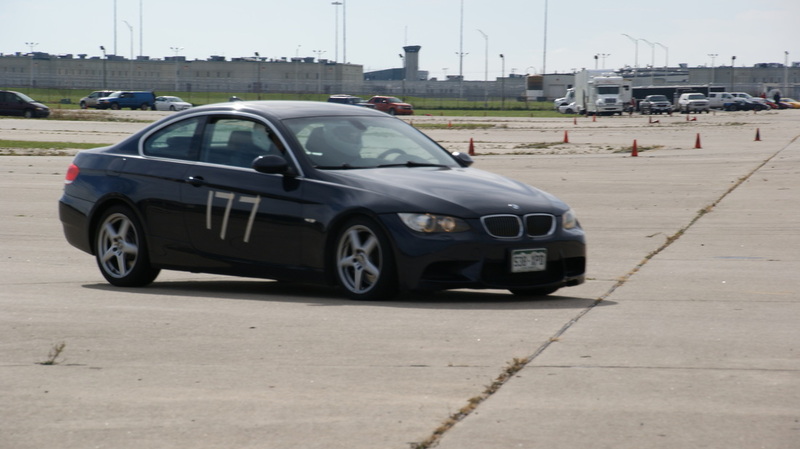 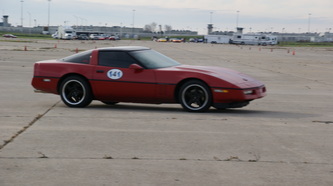 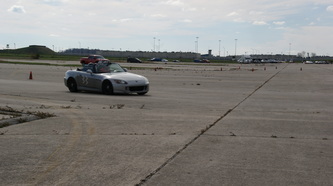 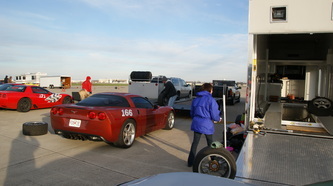 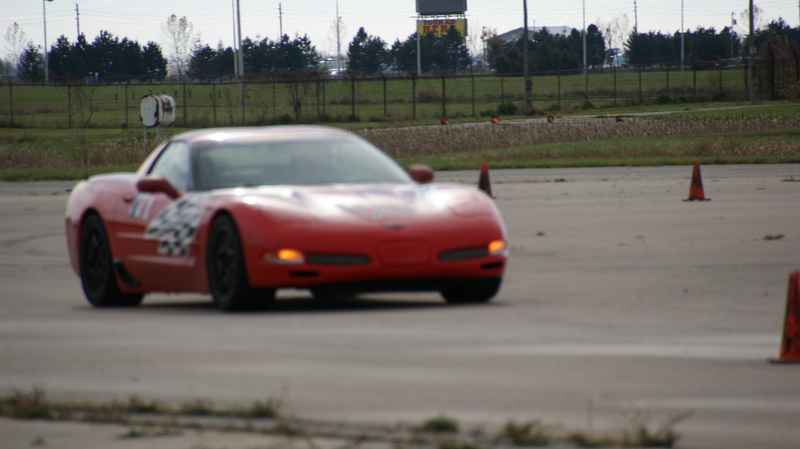 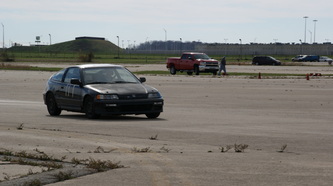 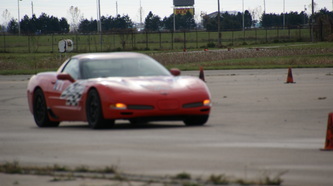 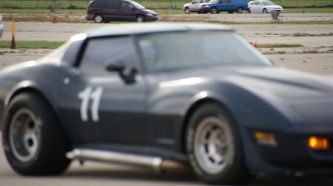 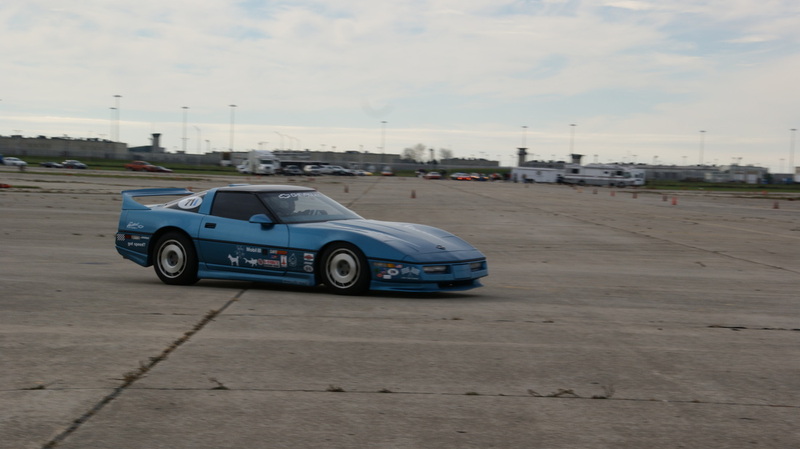 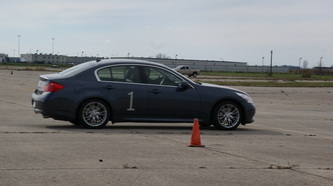 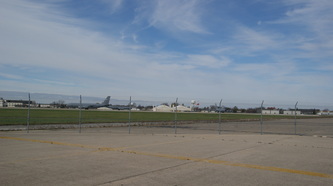 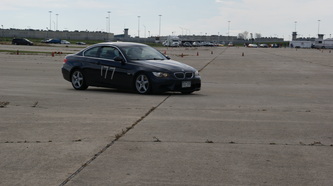 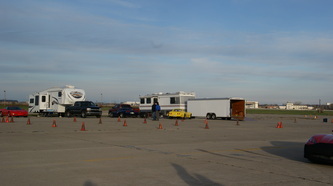 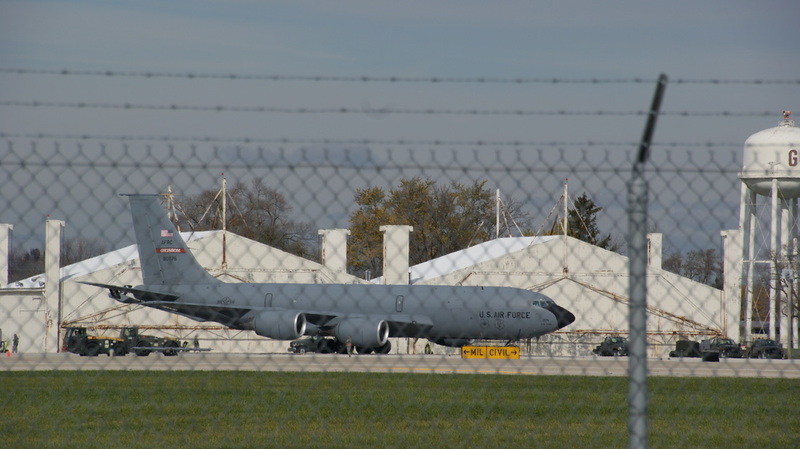 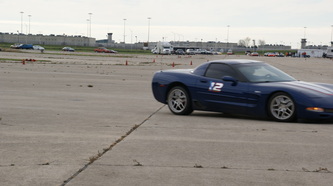 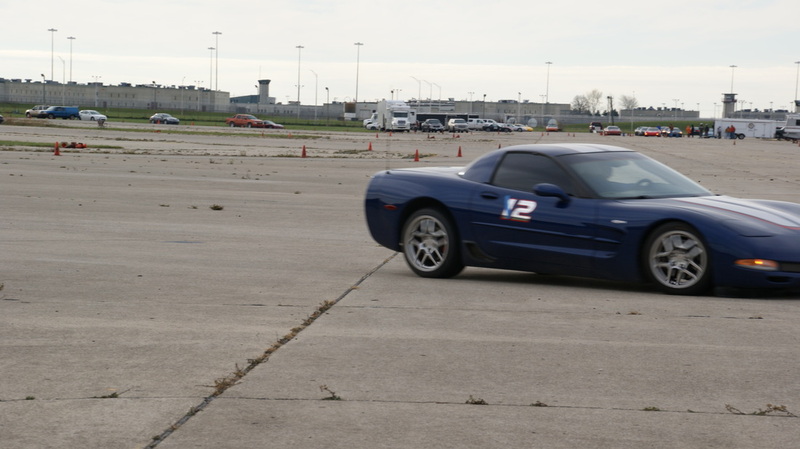 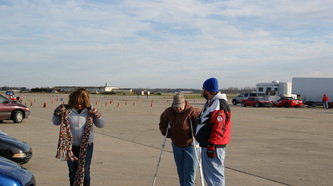 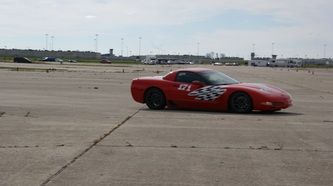 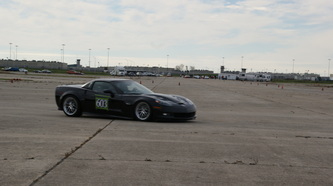 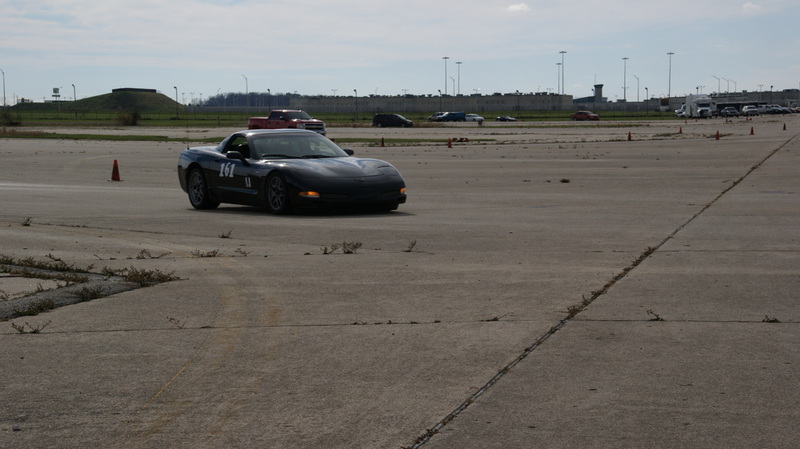 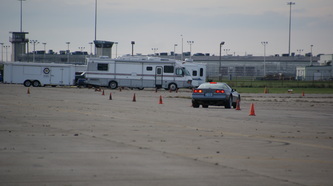 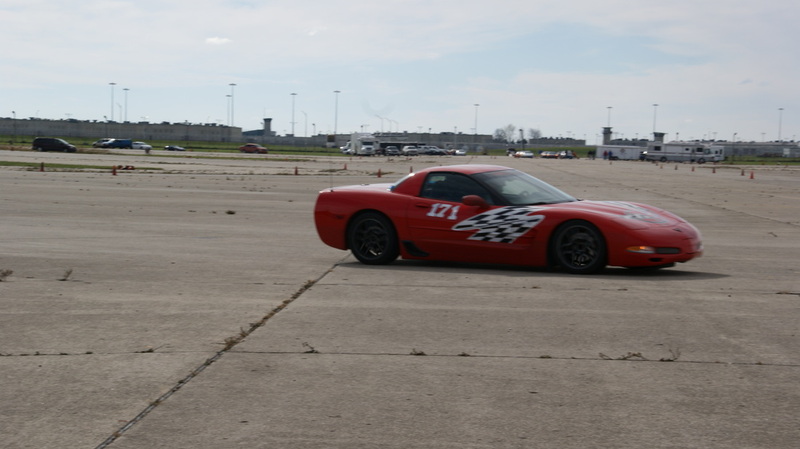 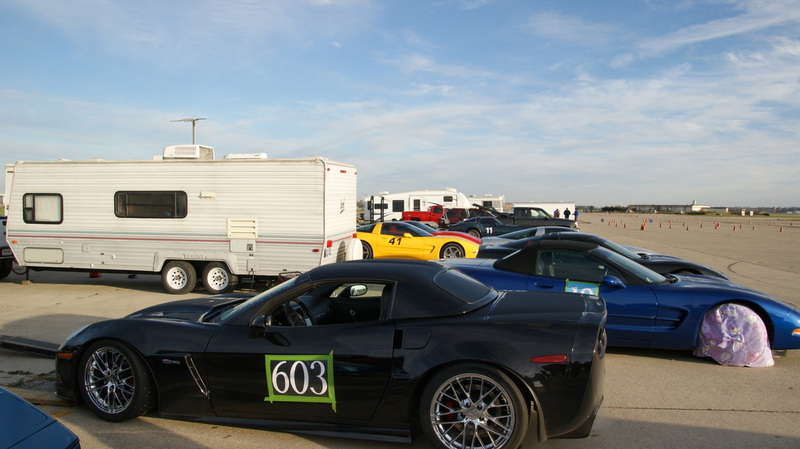 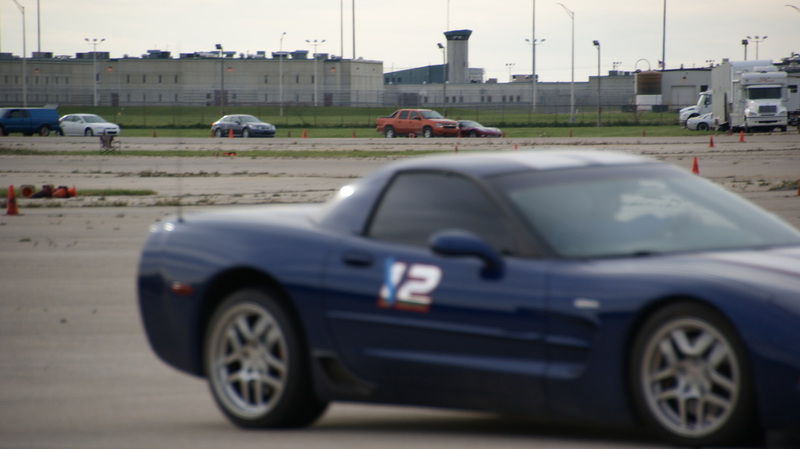 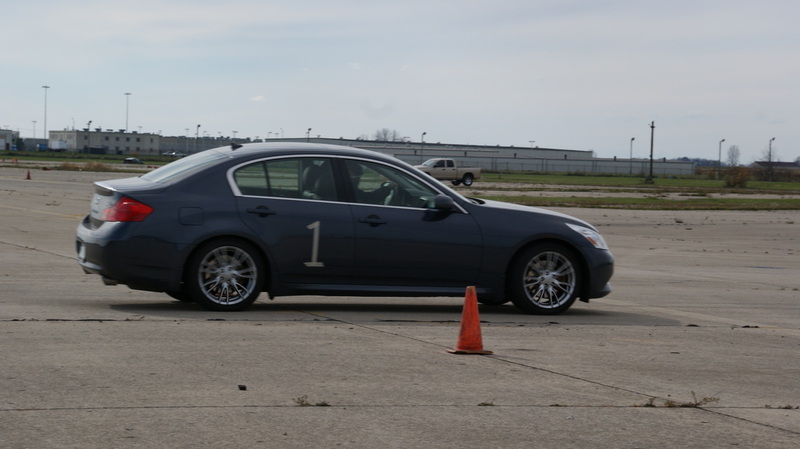 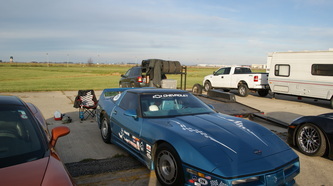 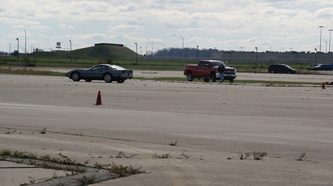 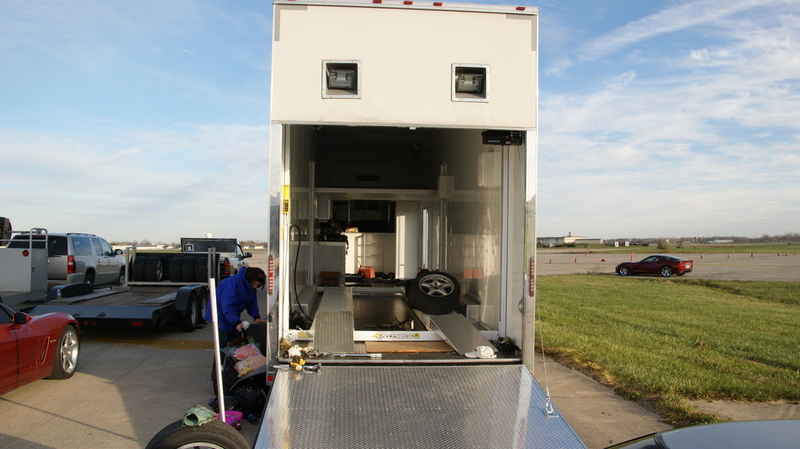 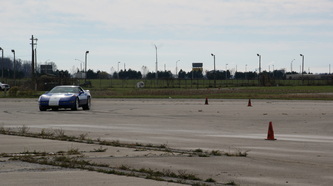 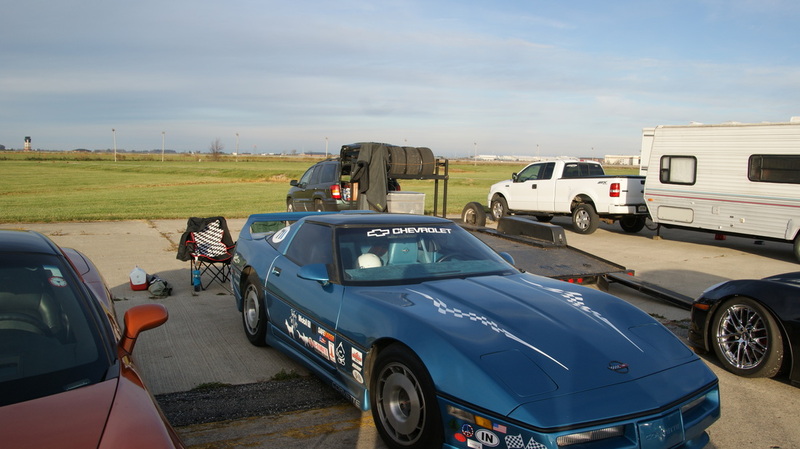 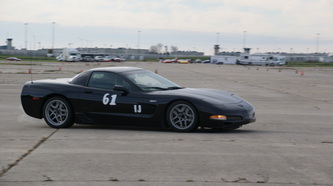 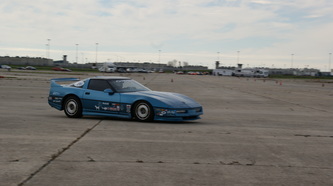 The car count was actually higher though as most of Saturday's competitors returned and a few more Corvettes plus an assortment of 'metal' cars made their runs on this last day of the Indiana Region racing season being held at Grissom.